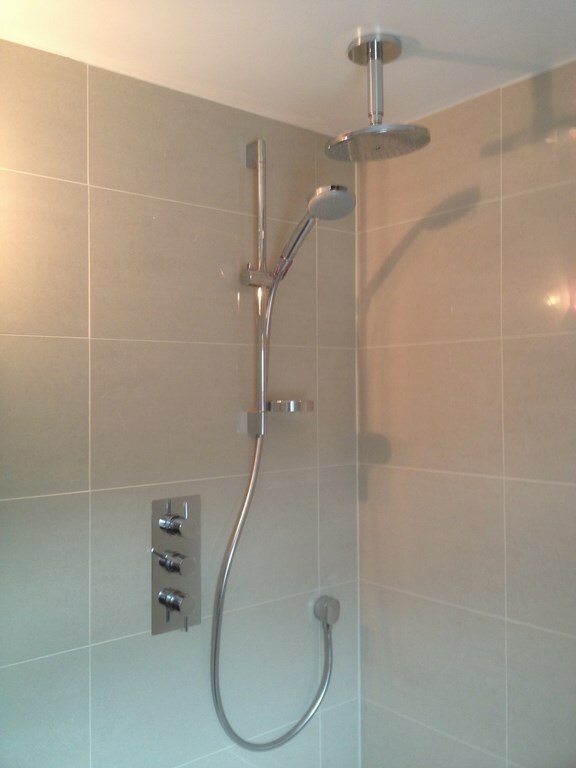 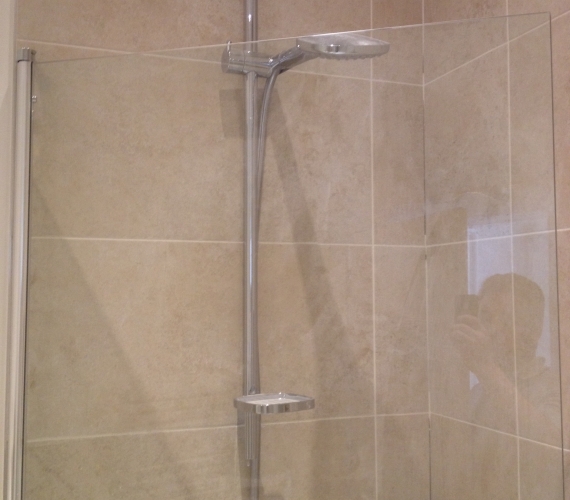 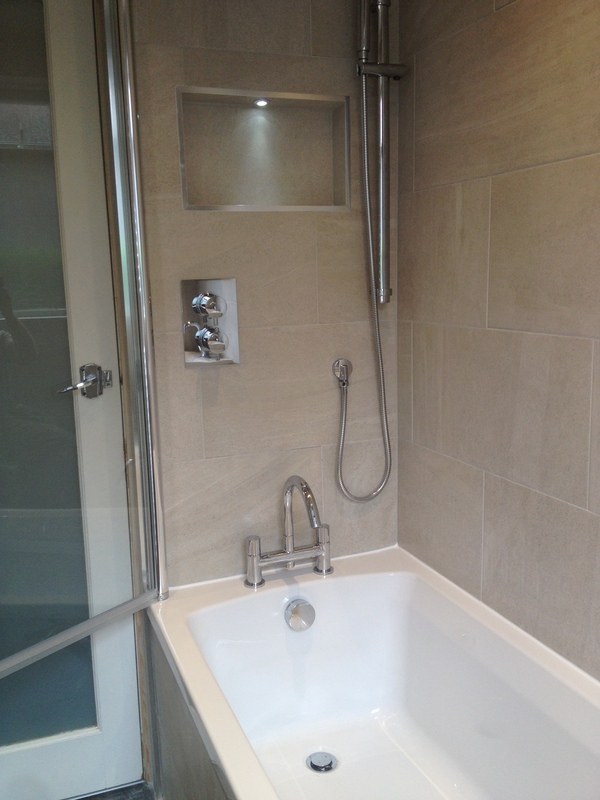 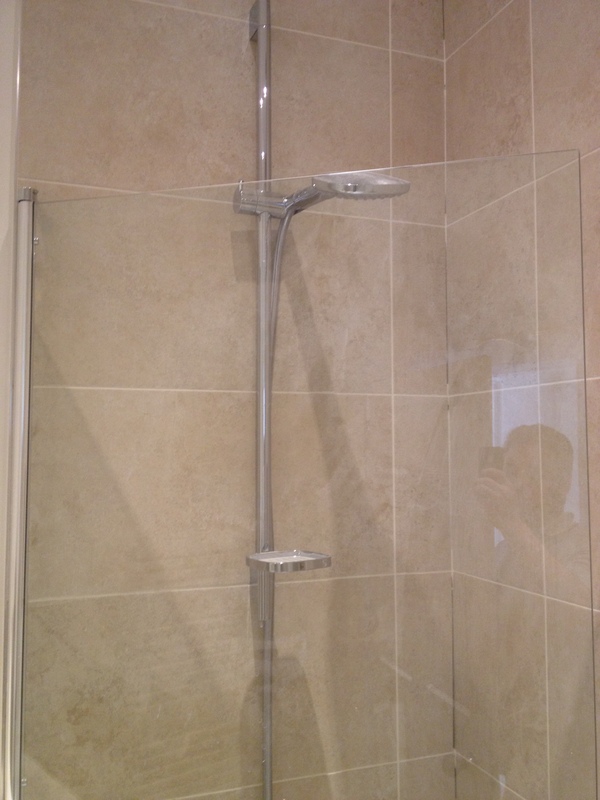 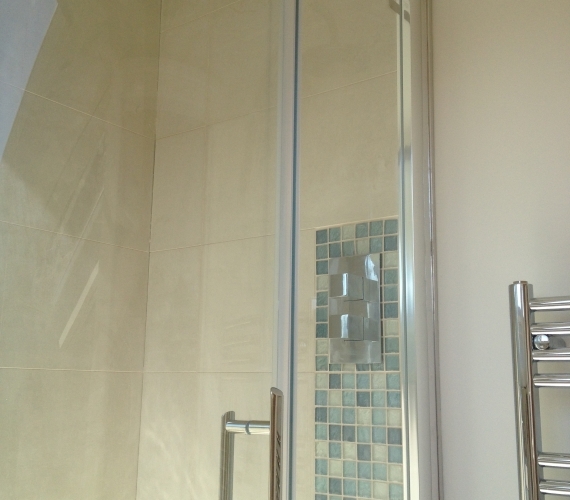 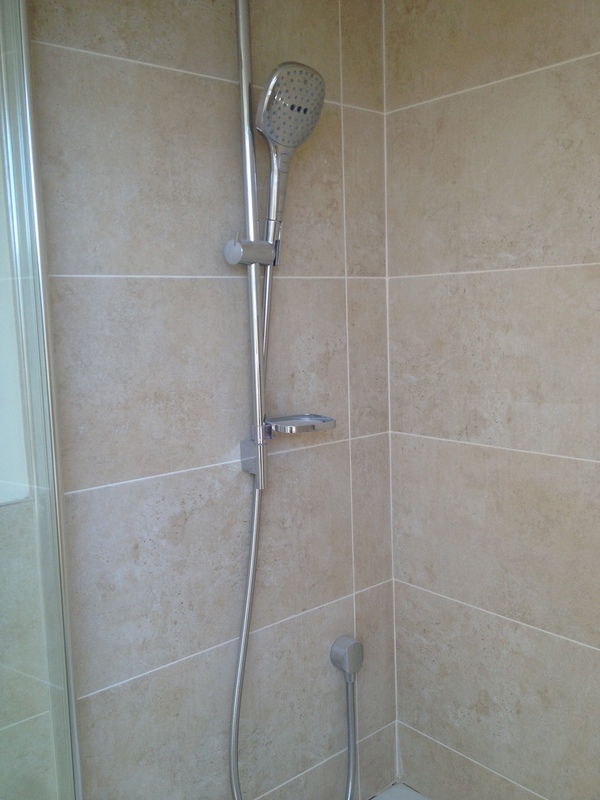 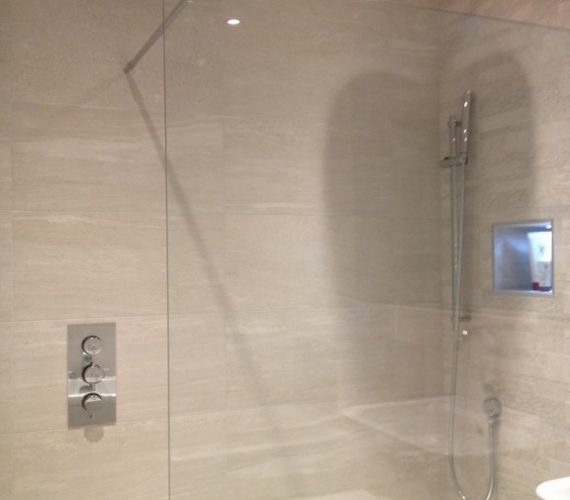 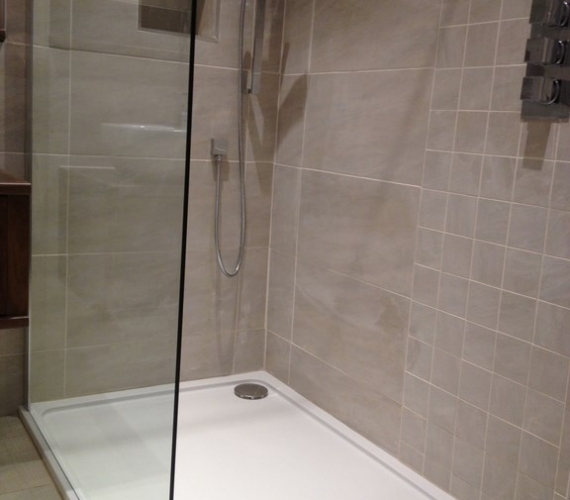 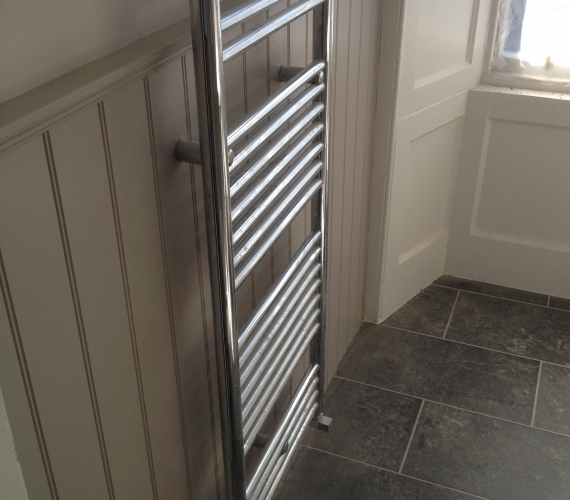 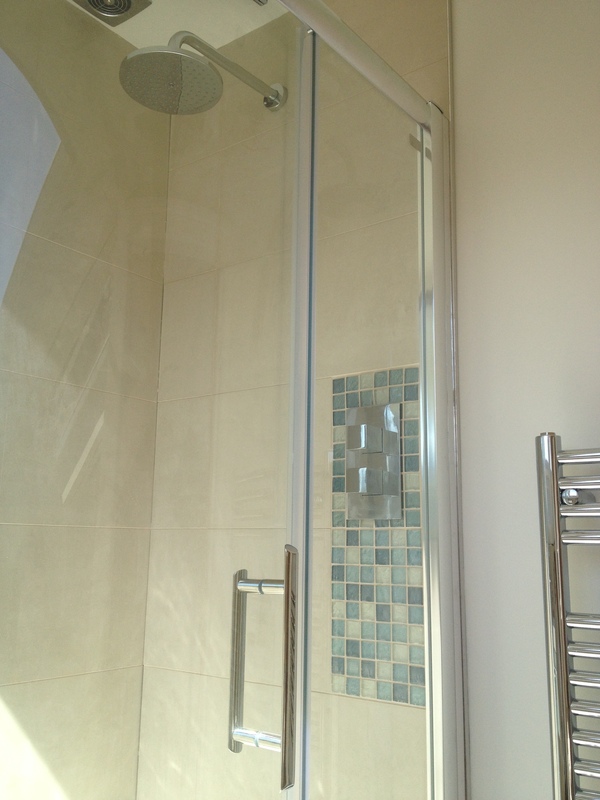 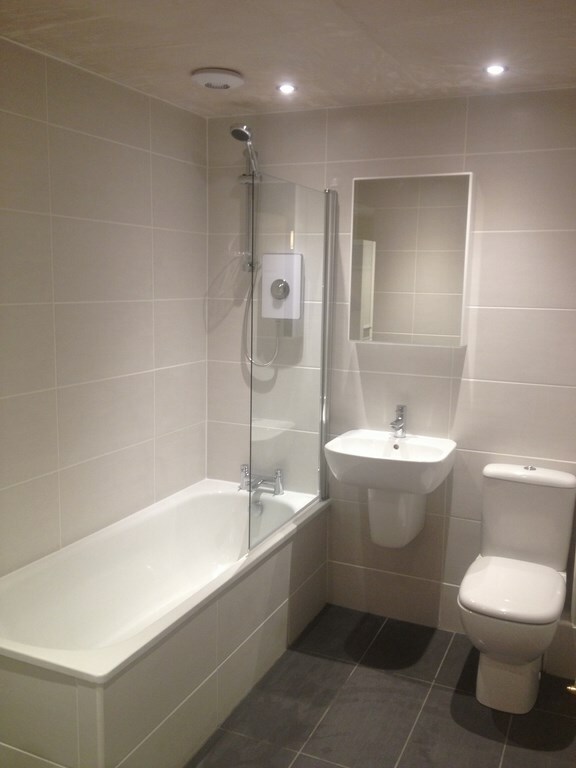 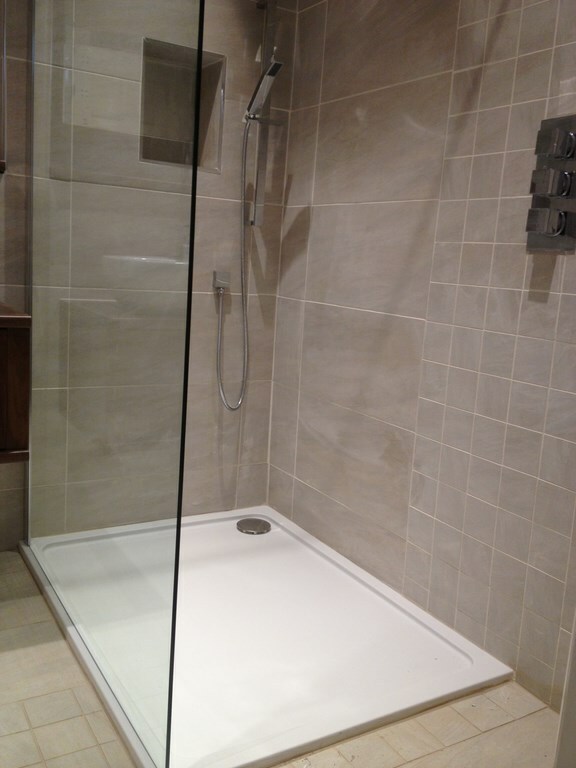 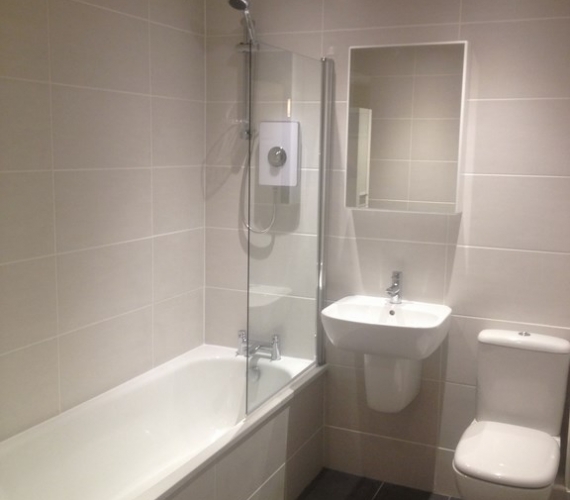 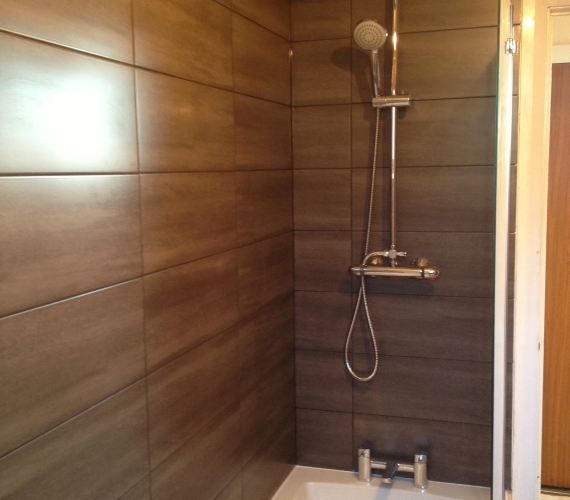 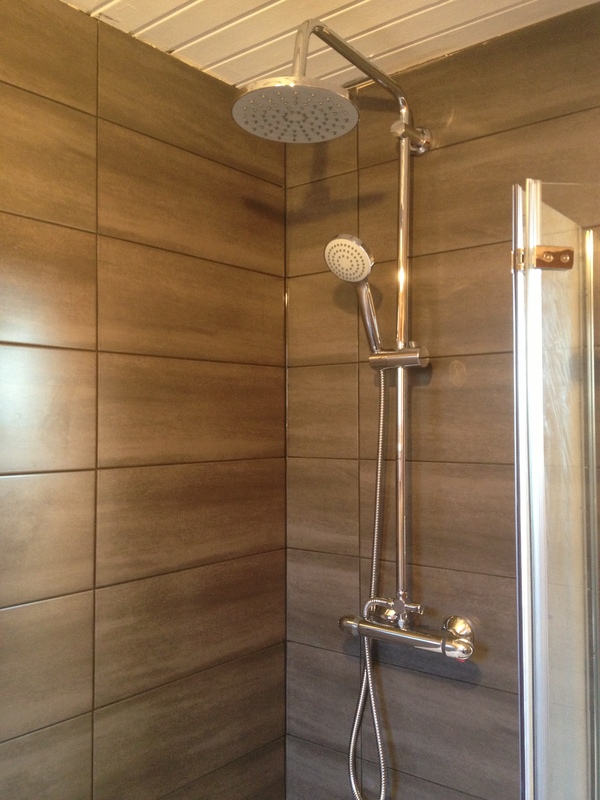 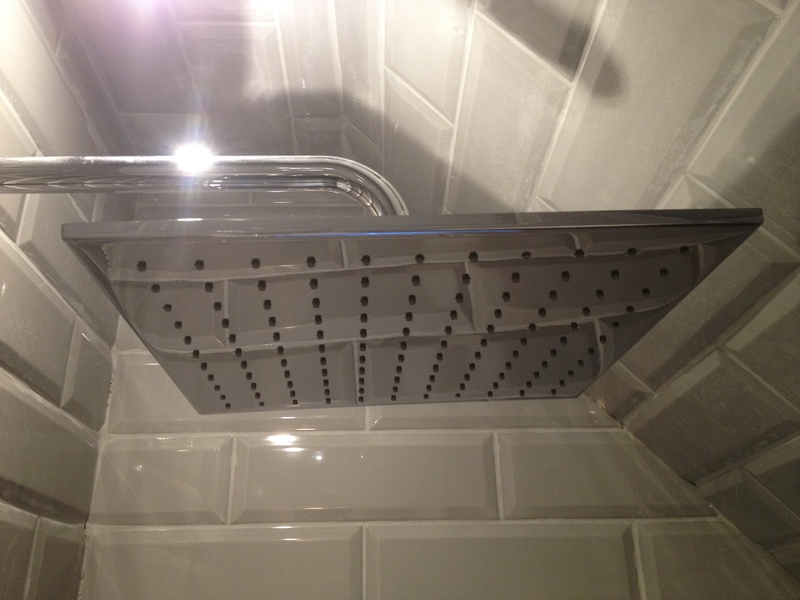 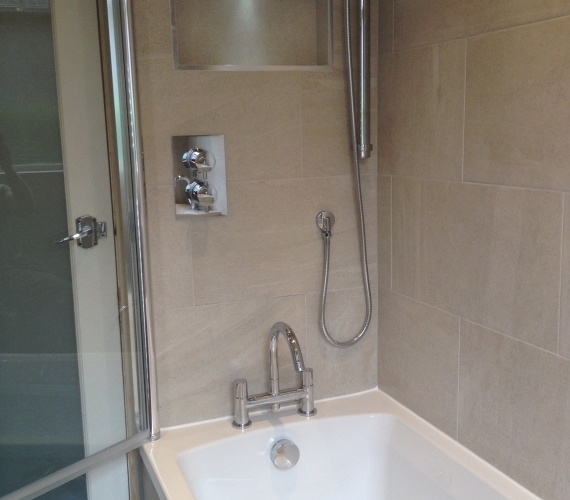 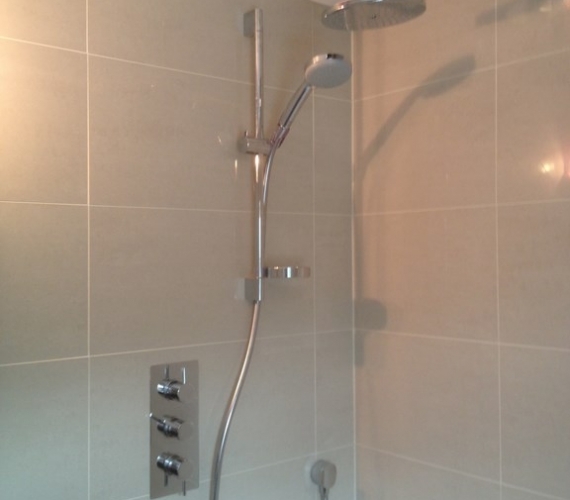 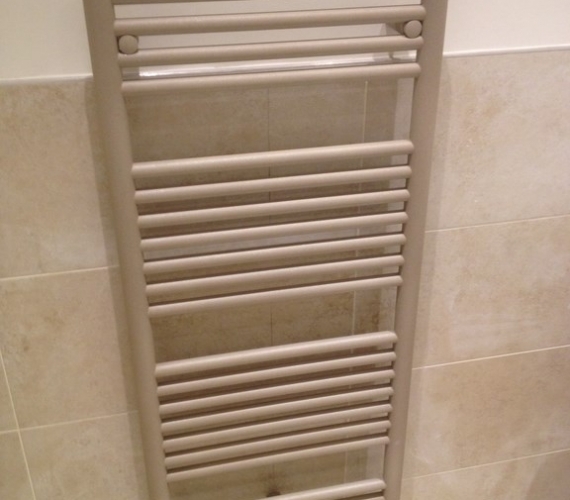 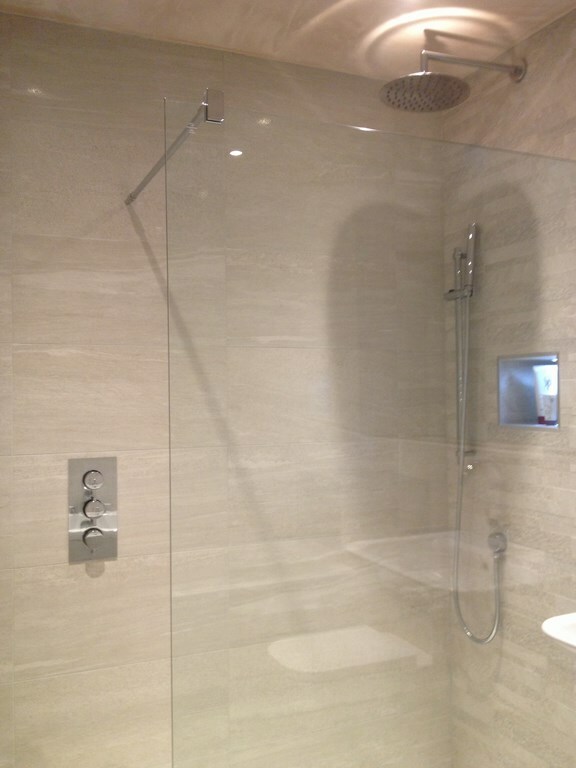 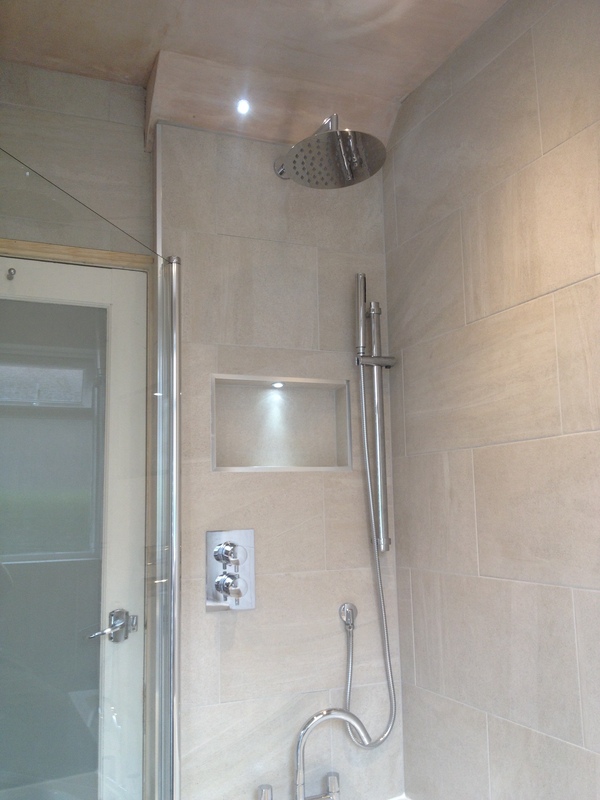 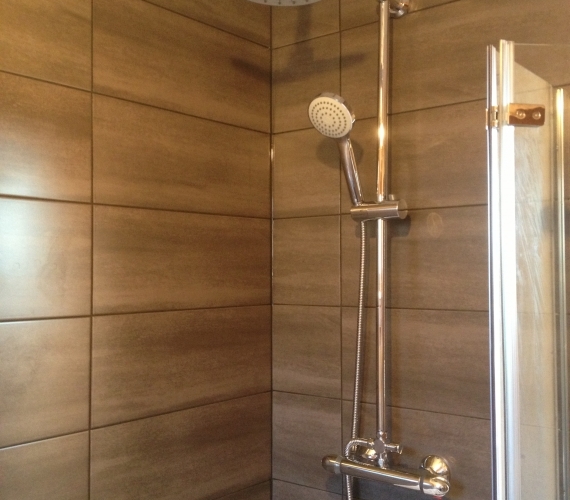 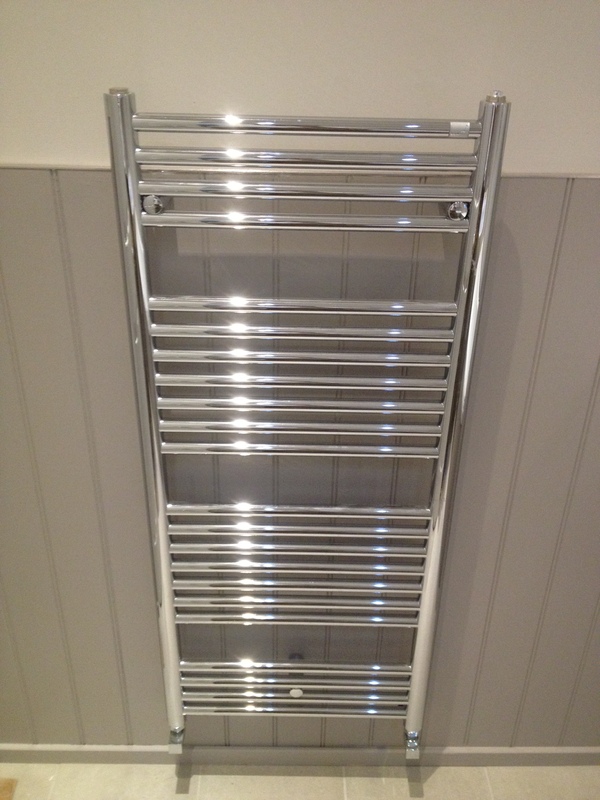 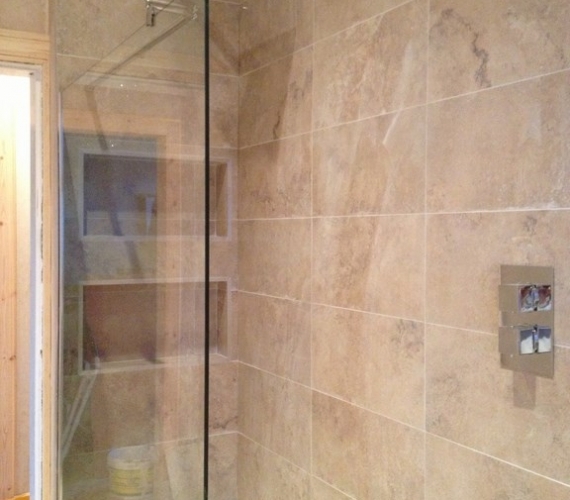 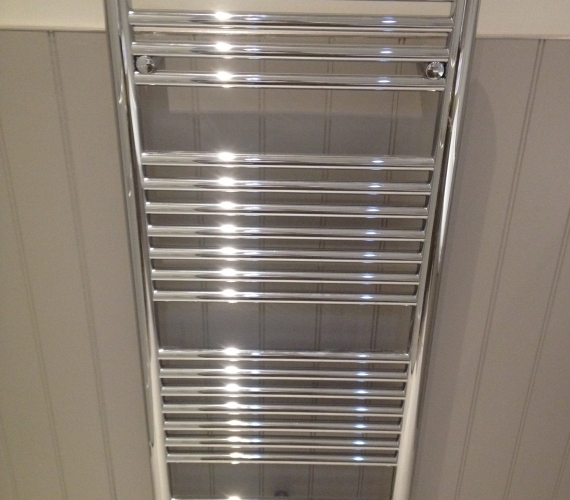 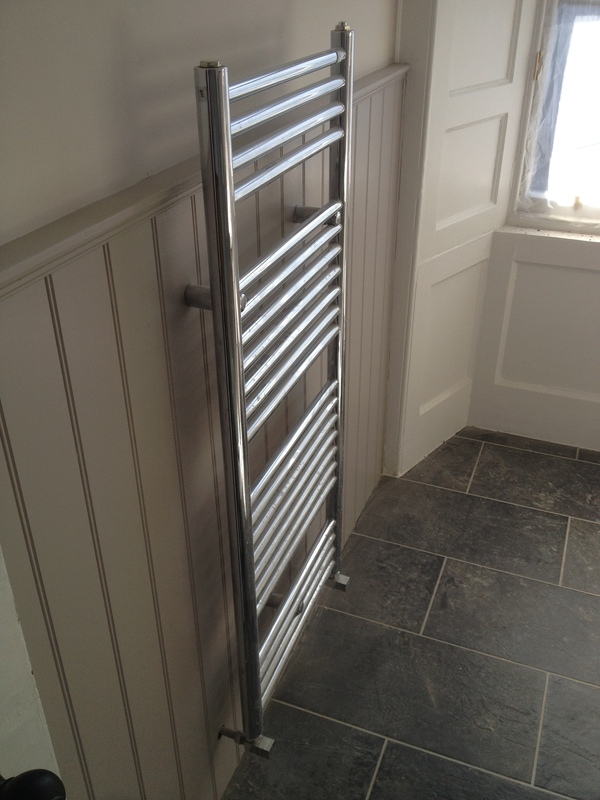 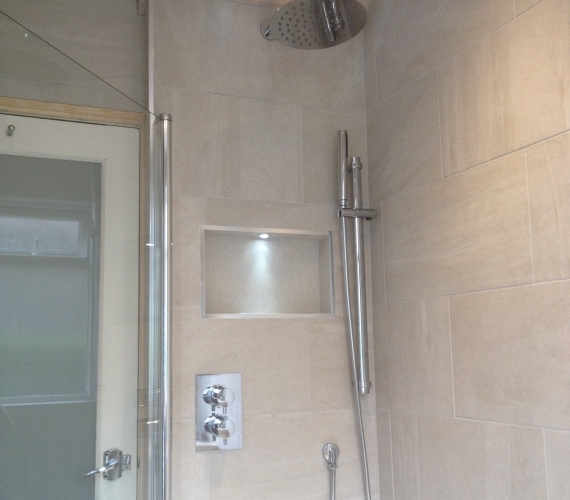 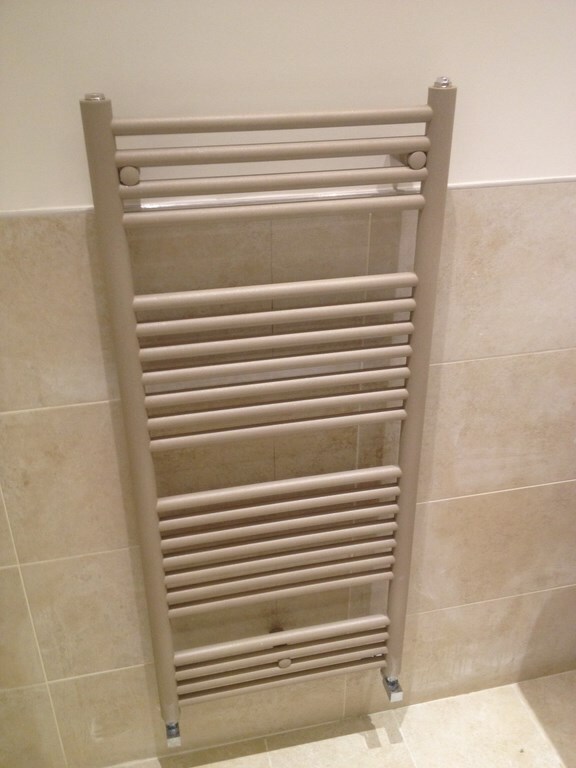 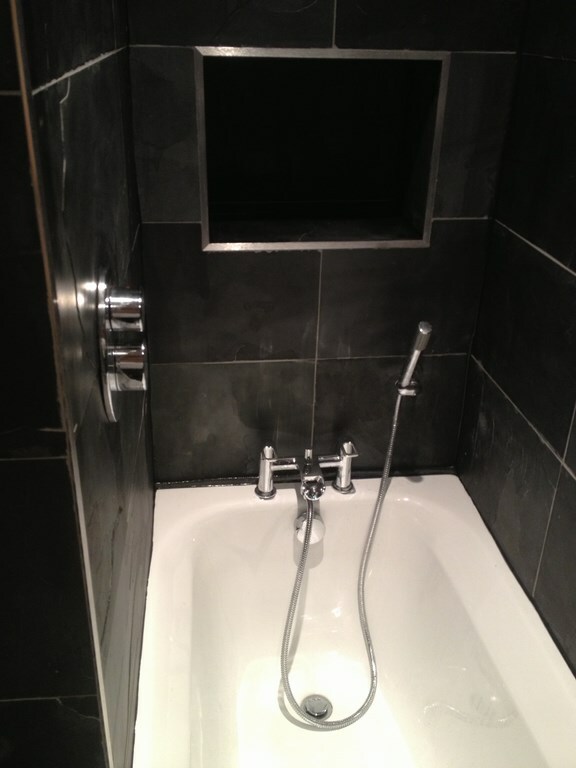 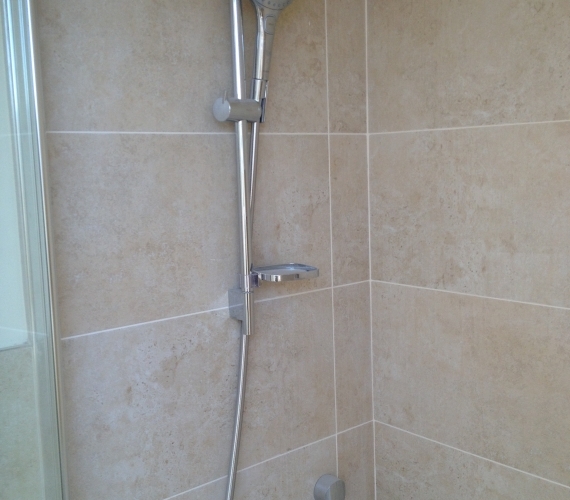 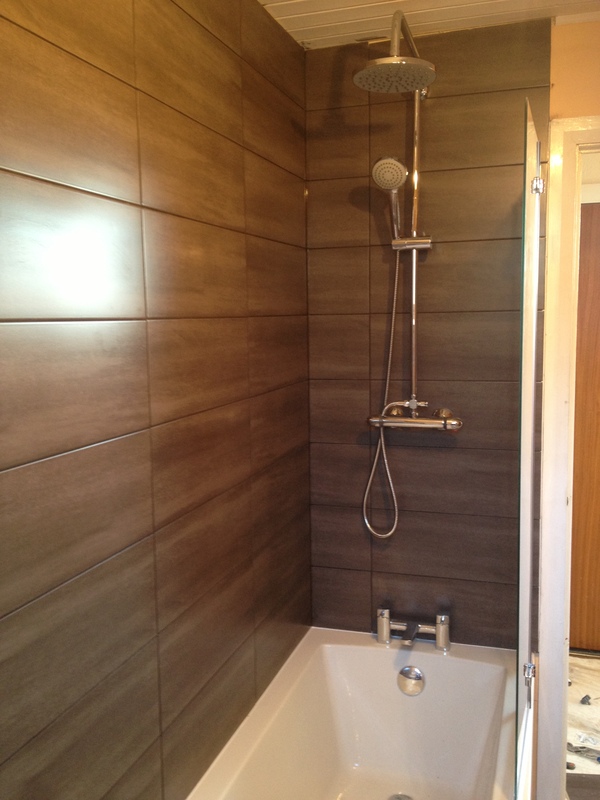 Thermostatic bar shower mixer - Fixed shower head and riser rail. 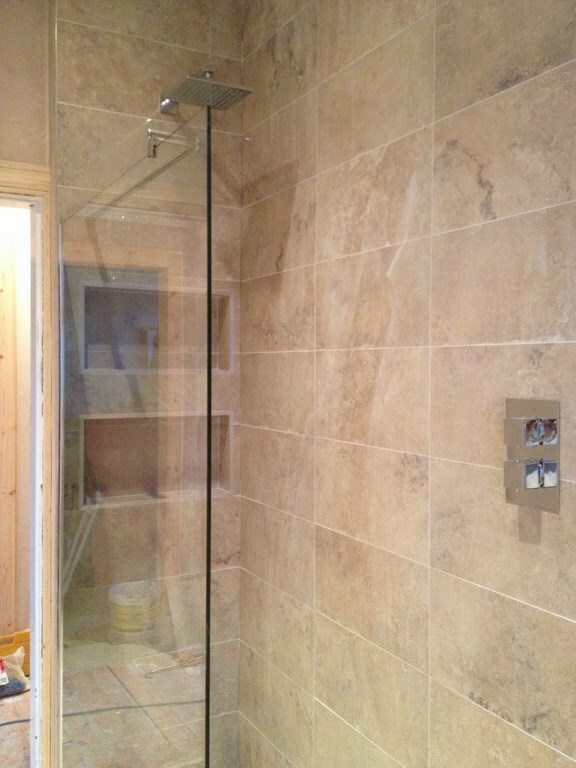 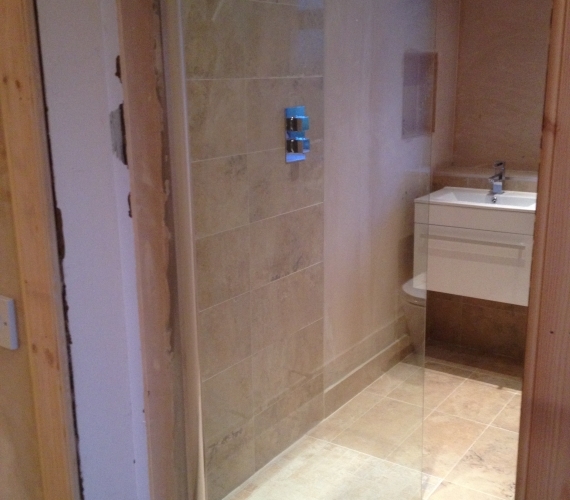 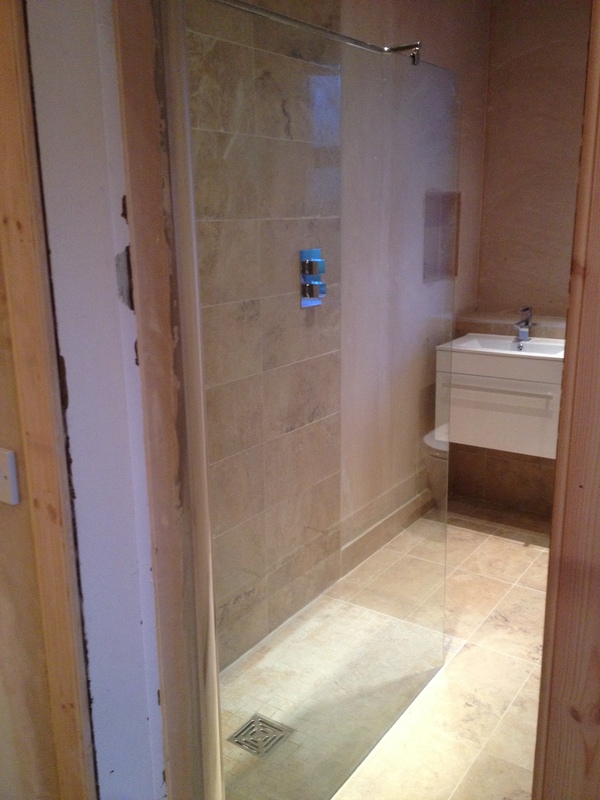 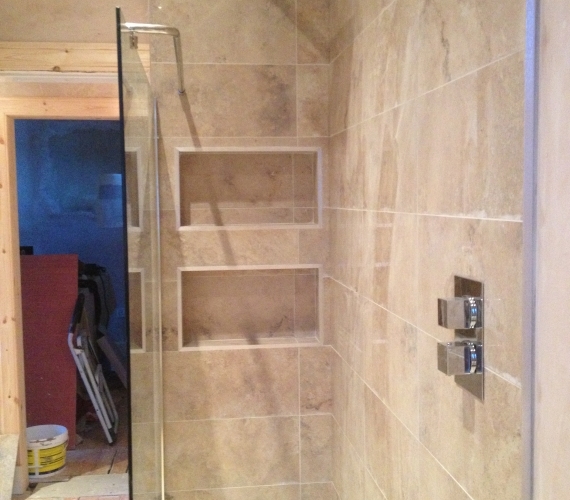 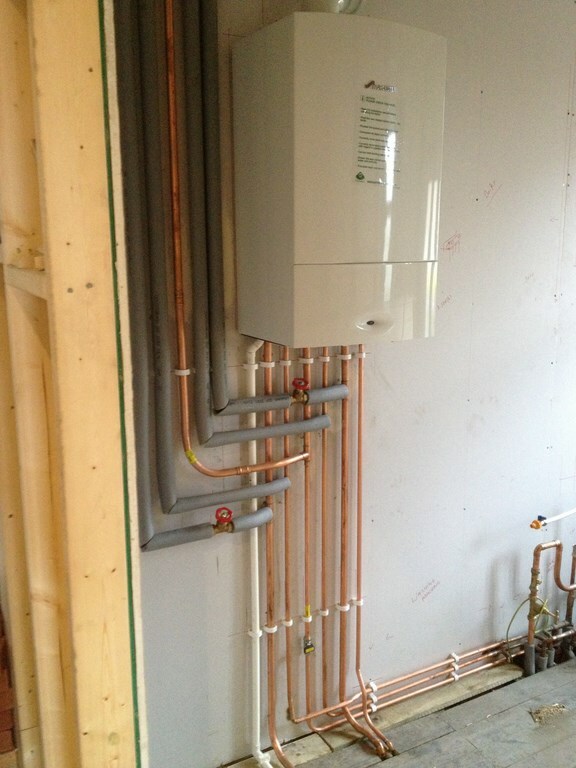 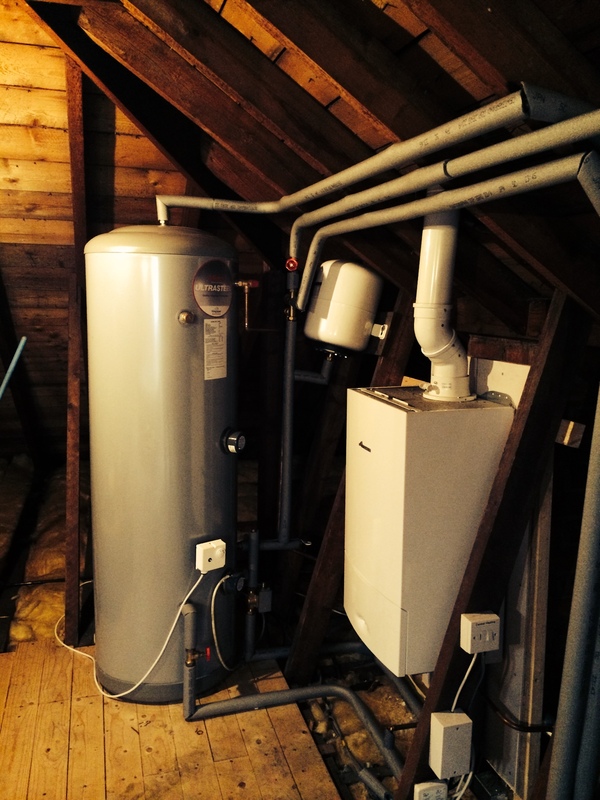 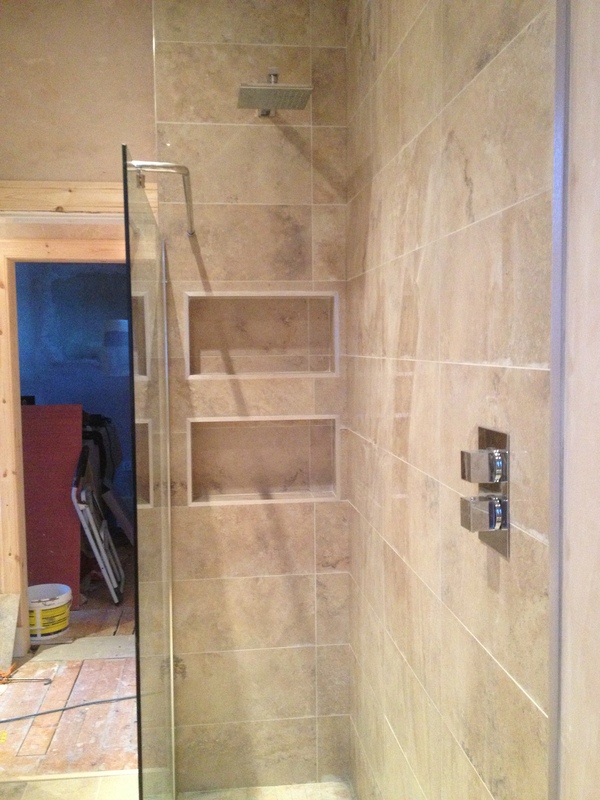 Thermostatic bar shower over bath. 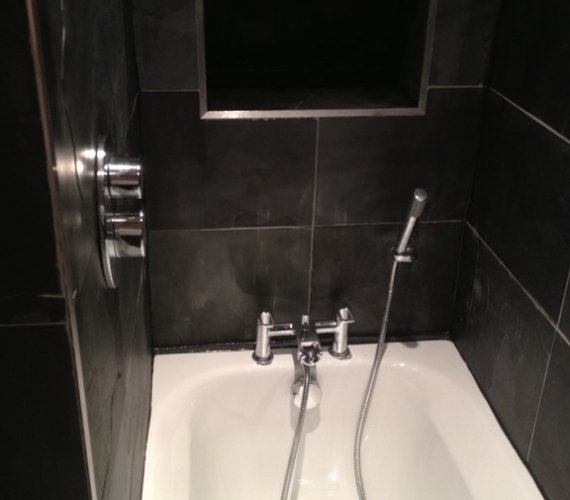 Charcoal tile with black grout. 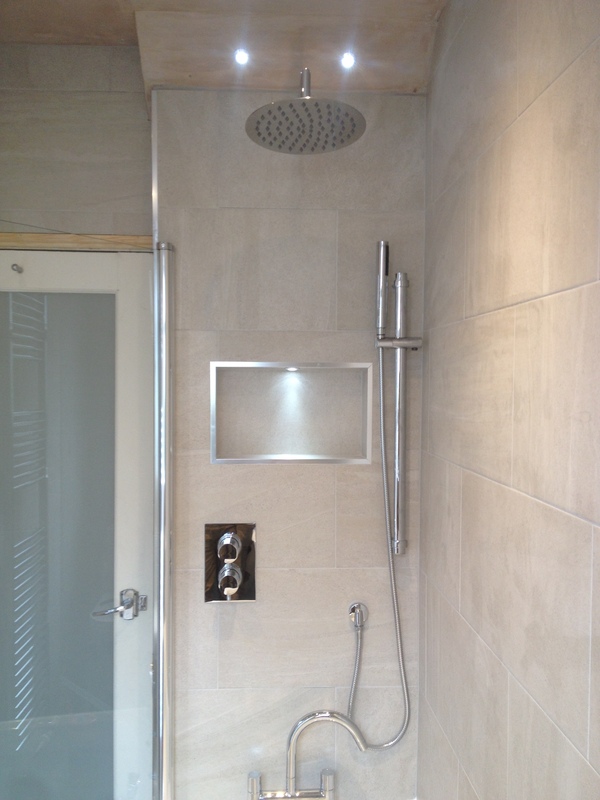 Fixed shower head and separate valve - Natural stone tile. 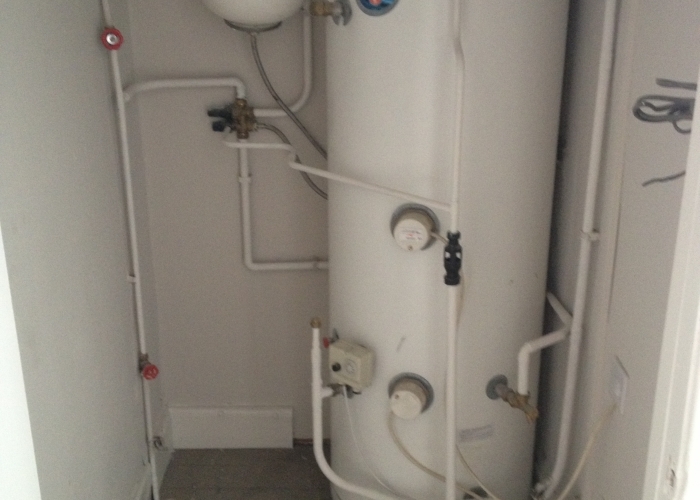 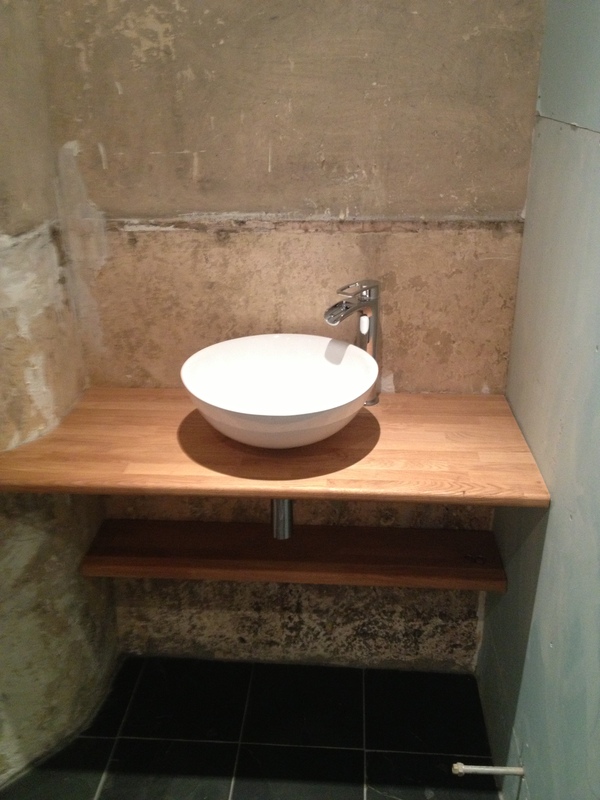 BTW W/C with concealed cistern - Wall hund basin and cabinet. 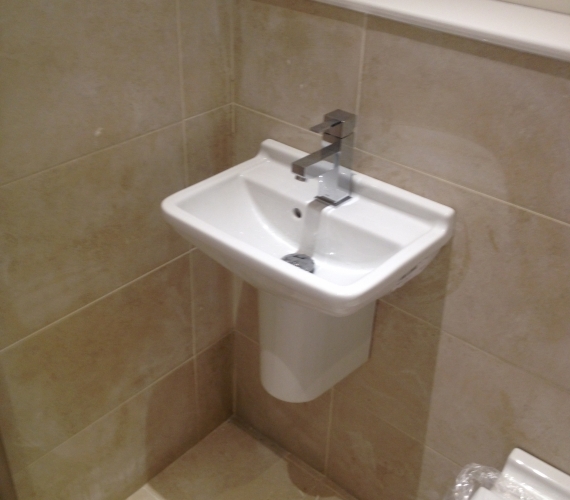 Basin bowl - independant basin mixer tap. 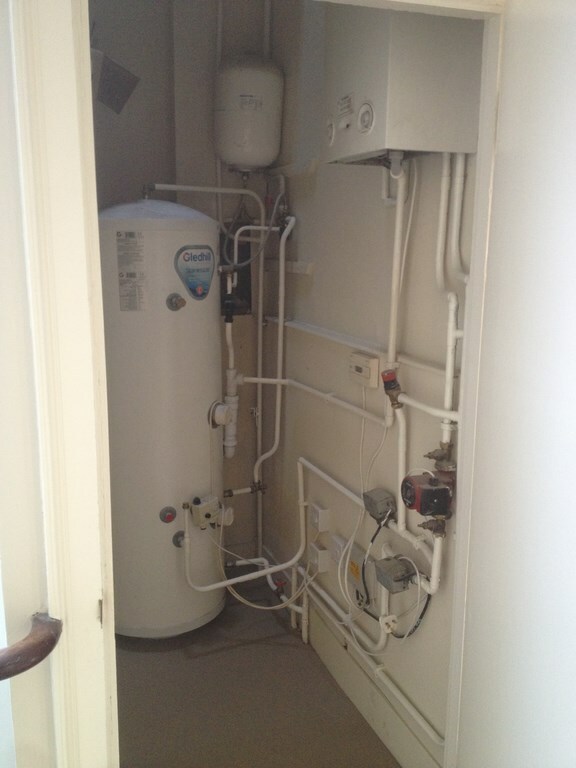 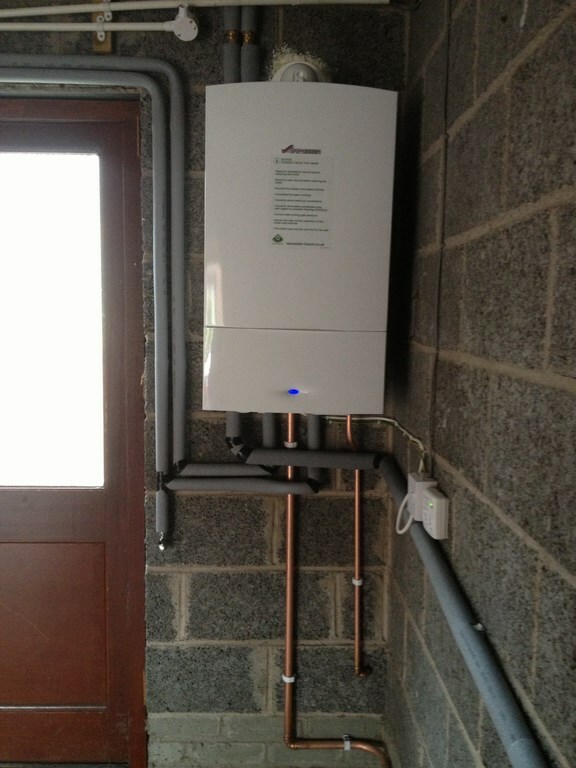 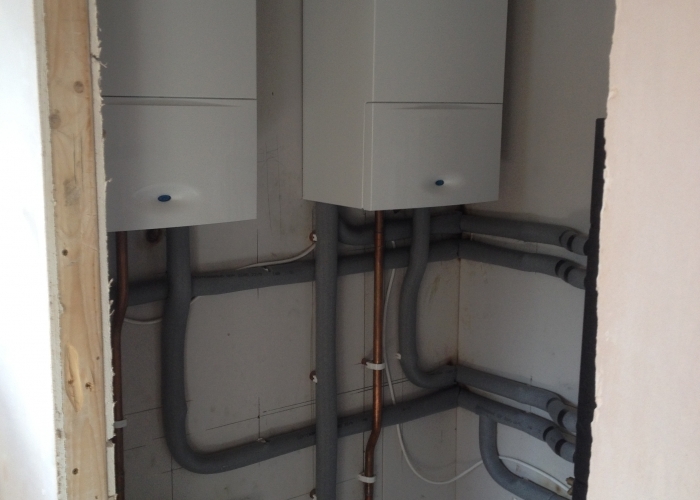 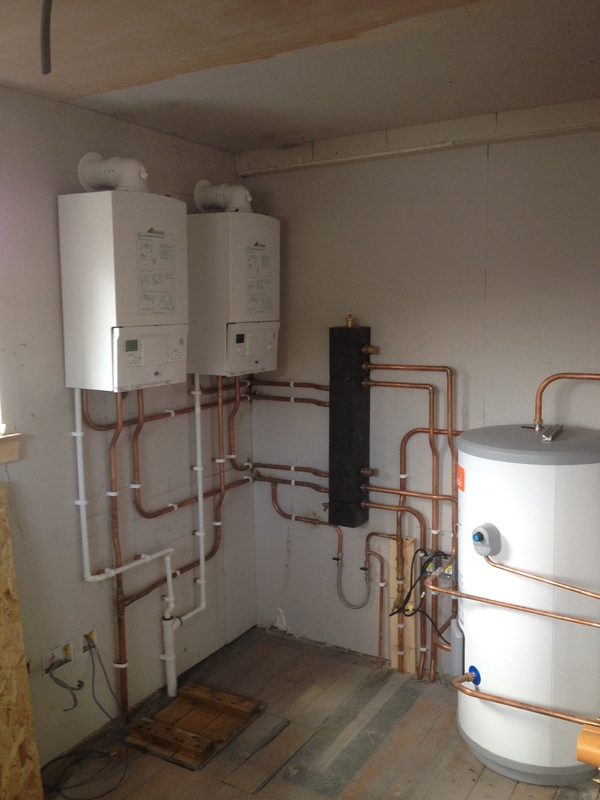 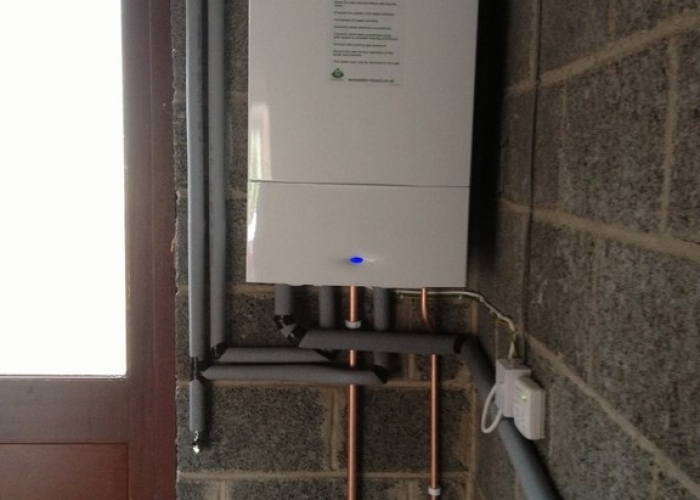 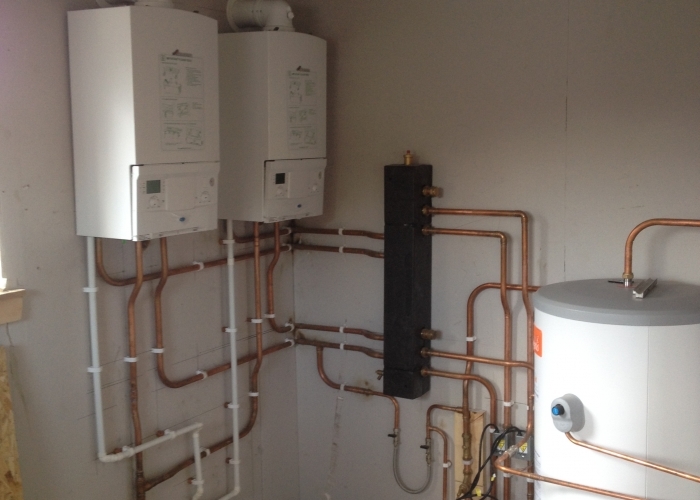 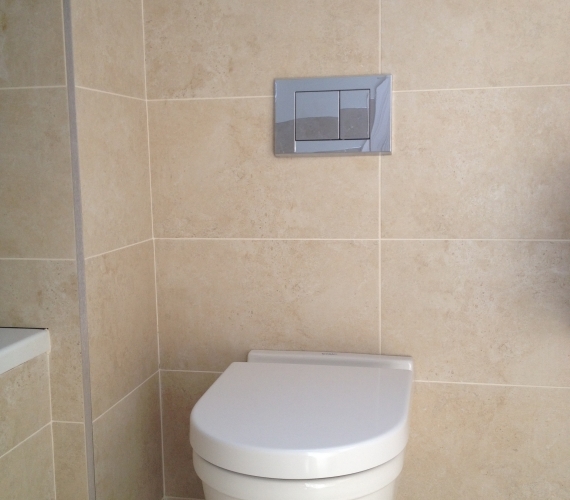 BTW W/C with Geberit concealed cistern and flush plate. 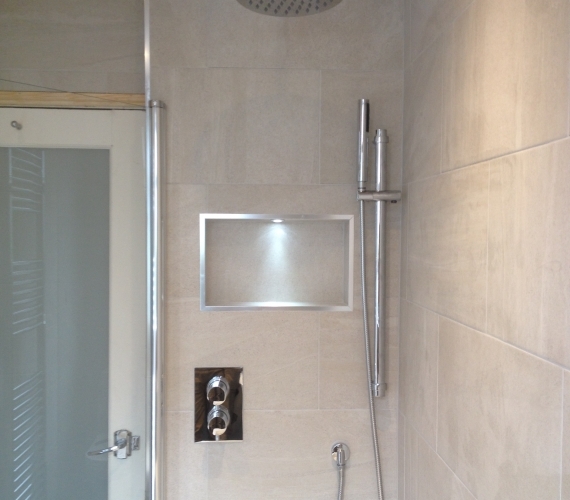 Hans Grohe shower and riser rail. 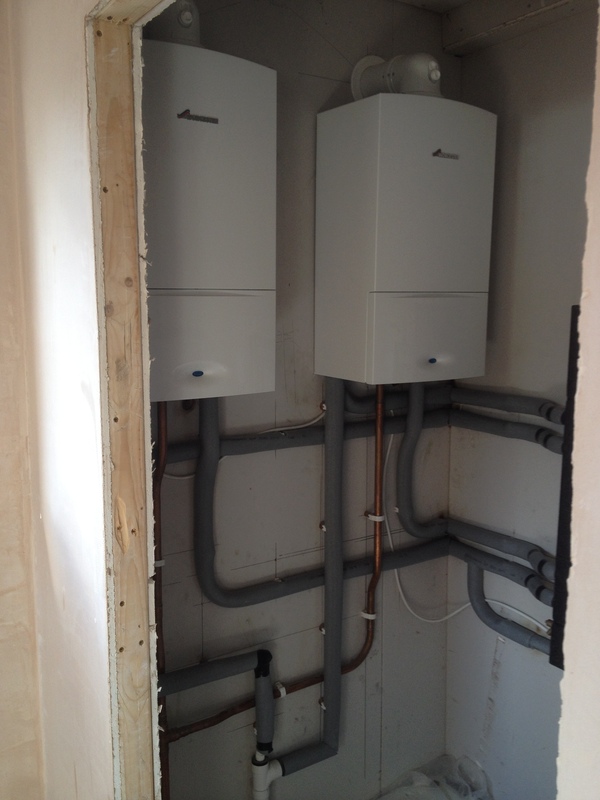 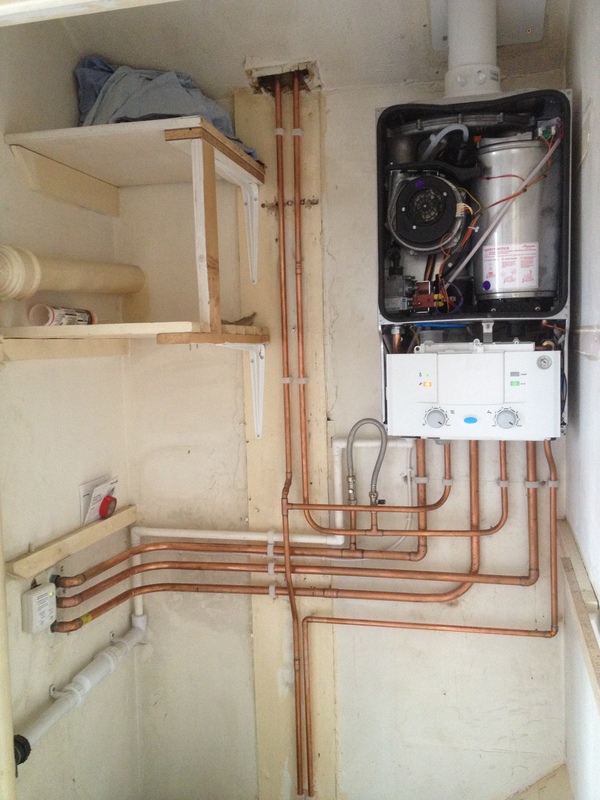 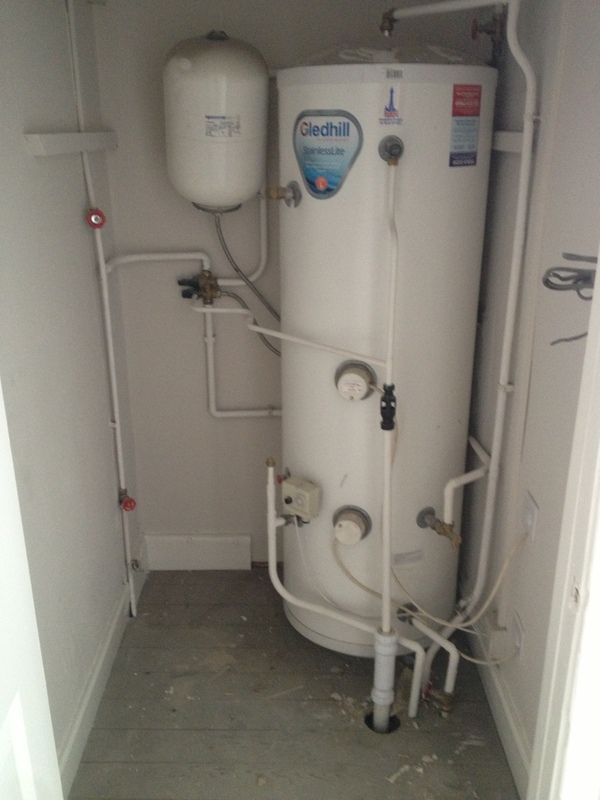 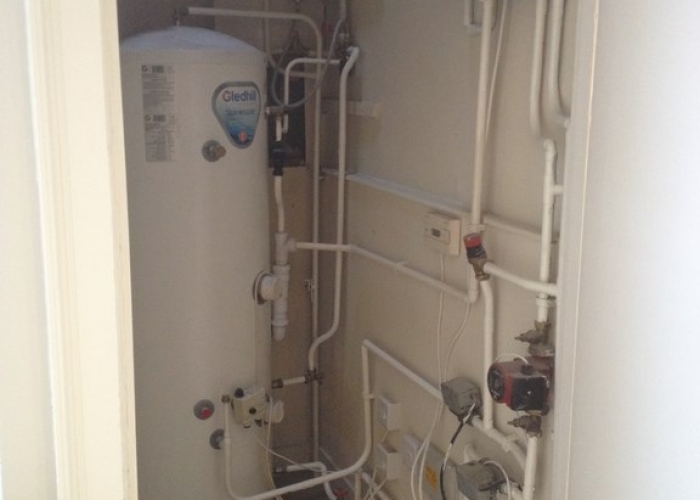 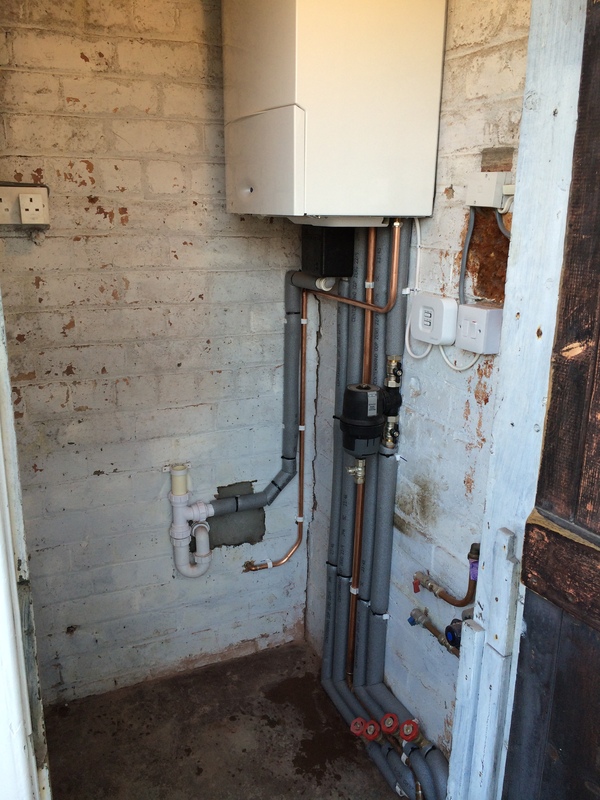 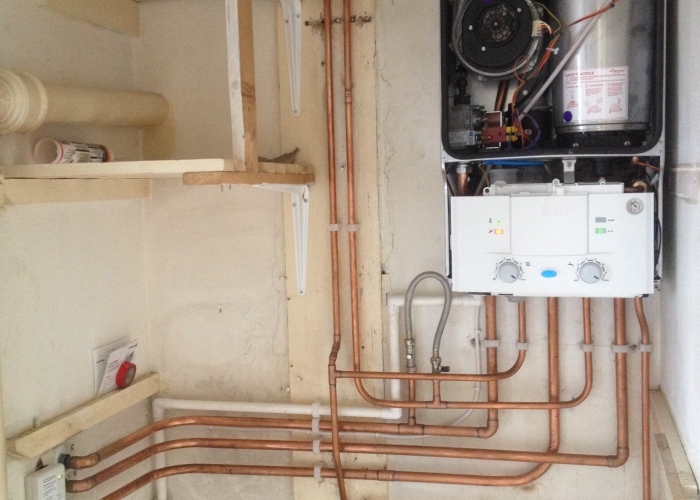 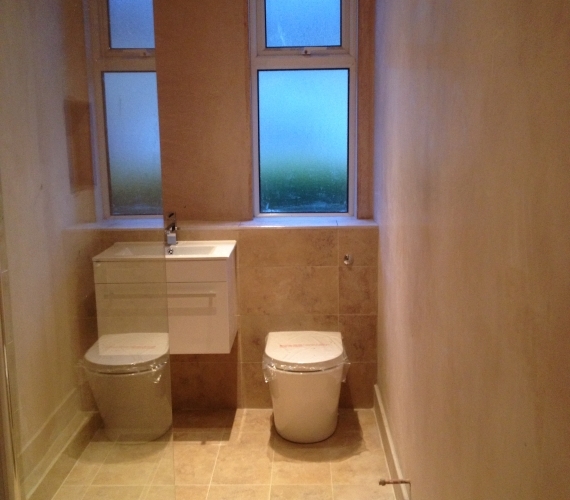 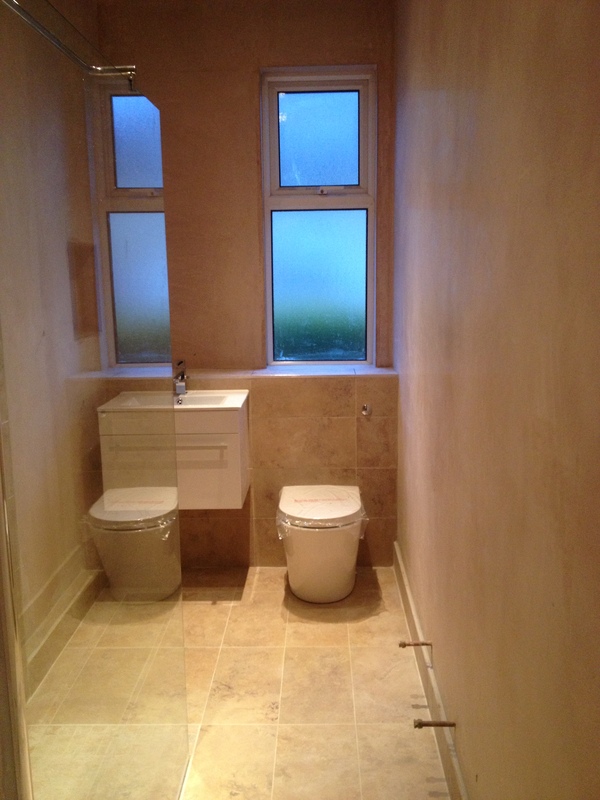 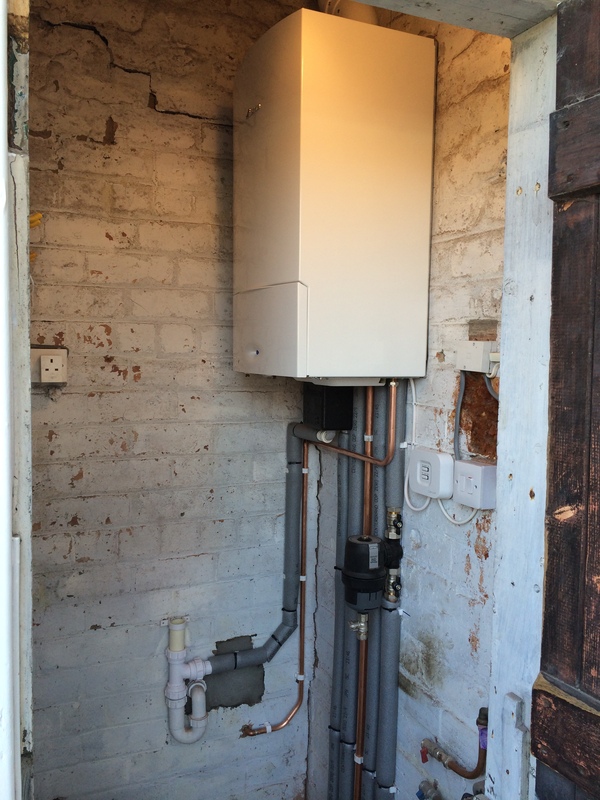 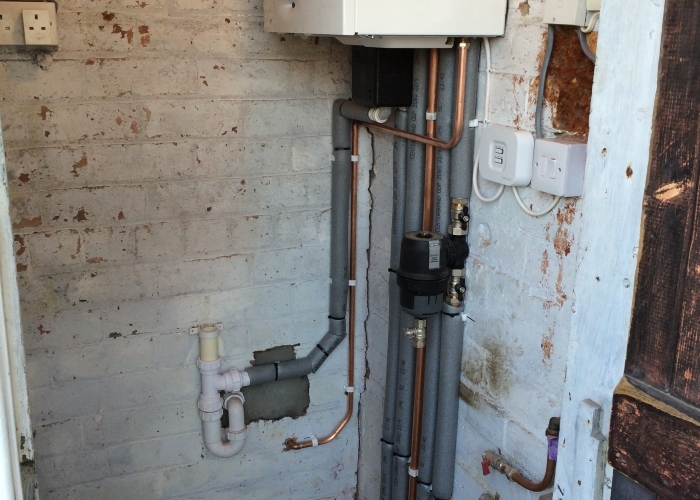 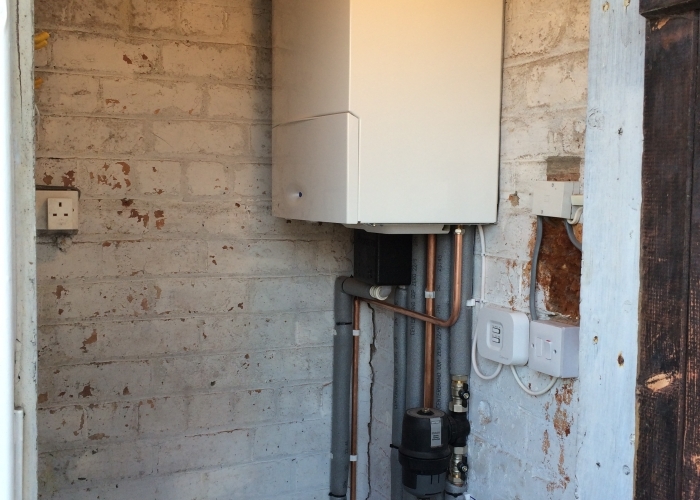 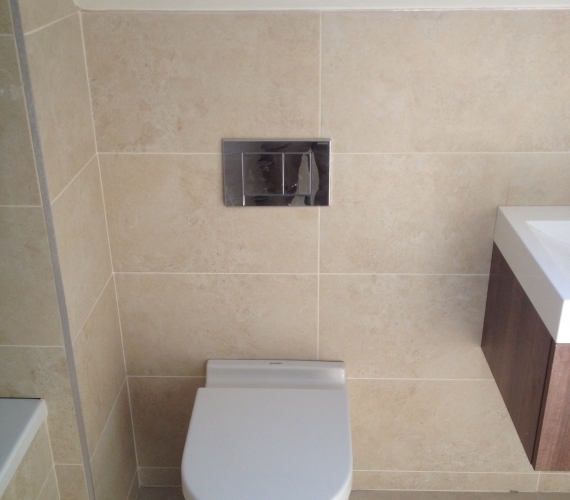 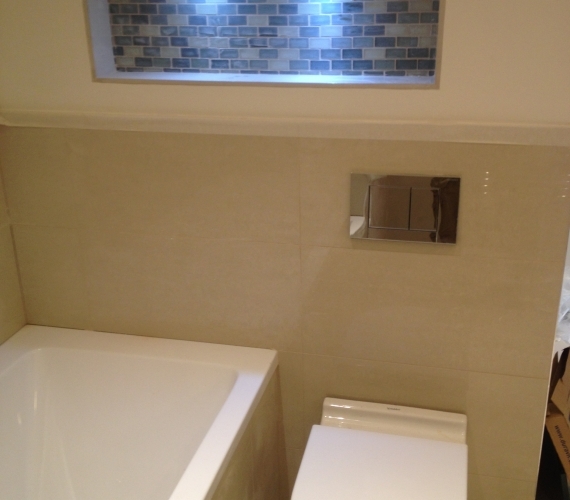 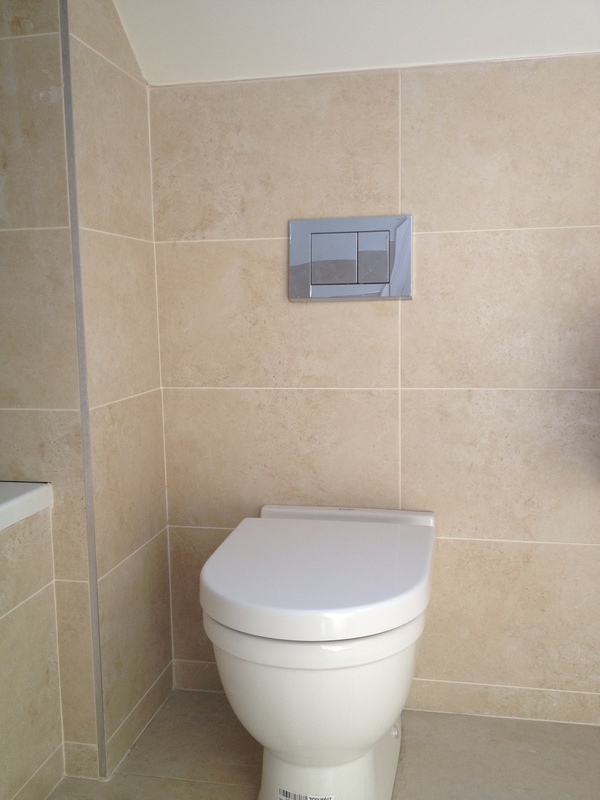 BTW W/C with Geberit concealed cistern and flush plate - mosaic tiled niche boxing. 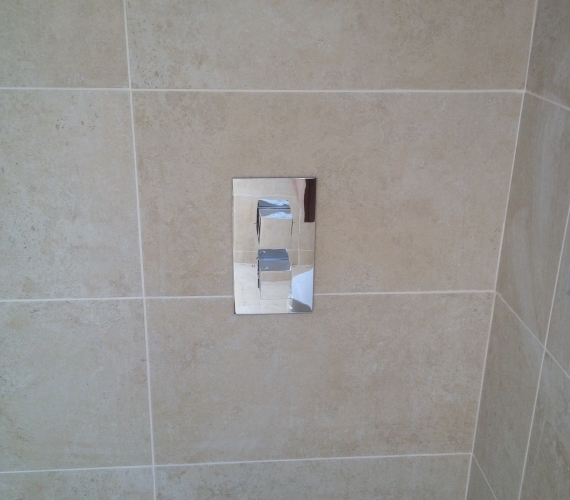 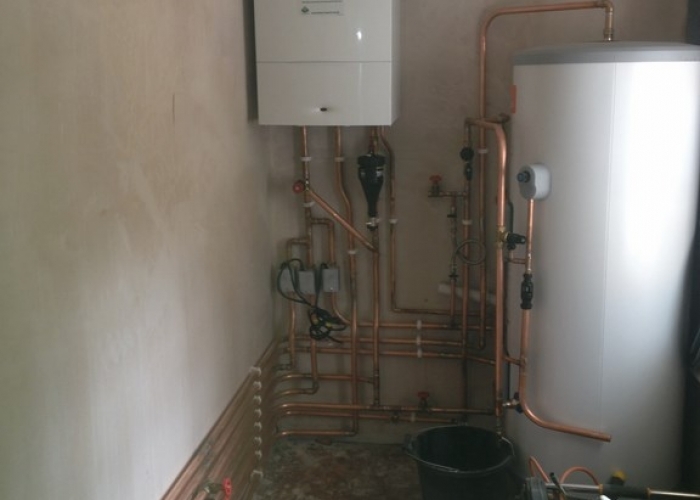 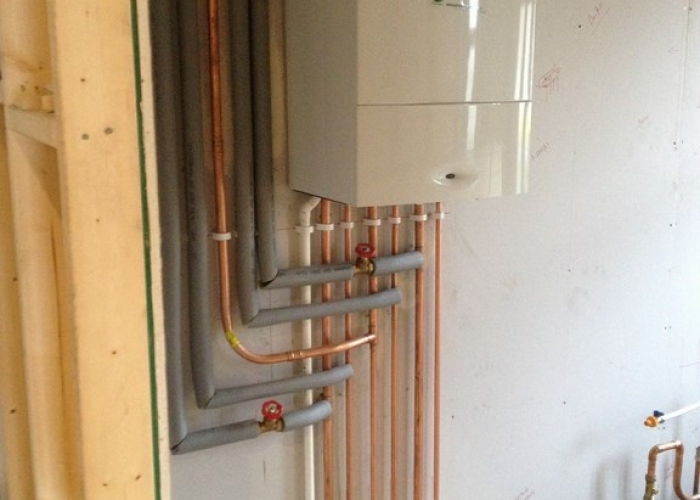 Concealed bath mixer valve - combined tap and overflow. 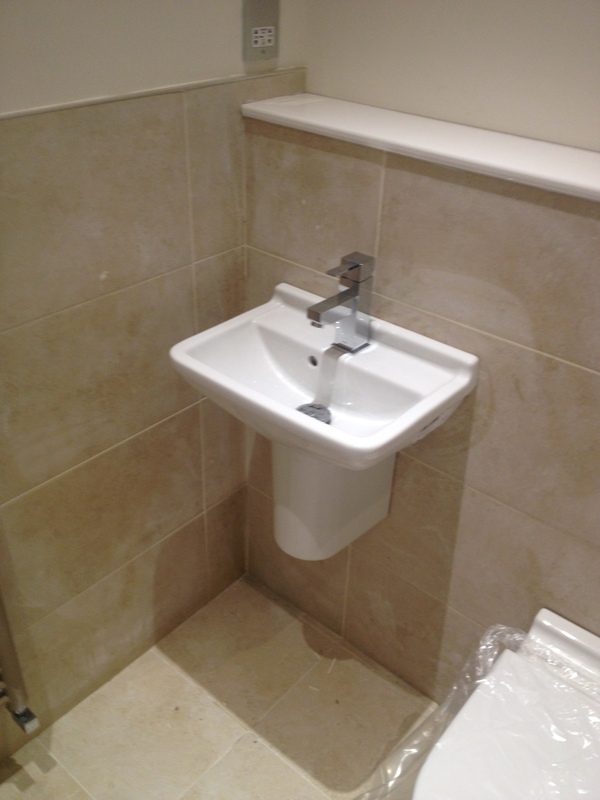 Cloakroom basin and semi pedestal. 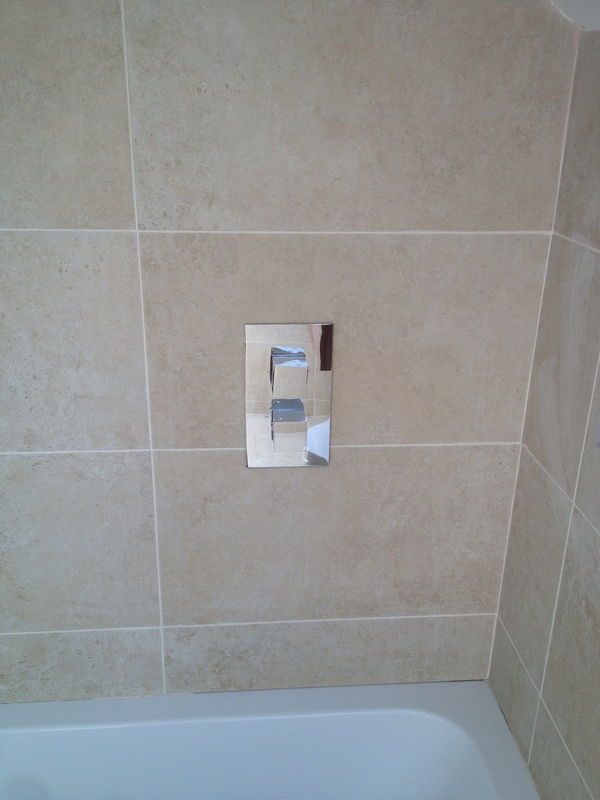 Concealed shower valve - mosaic tiles. 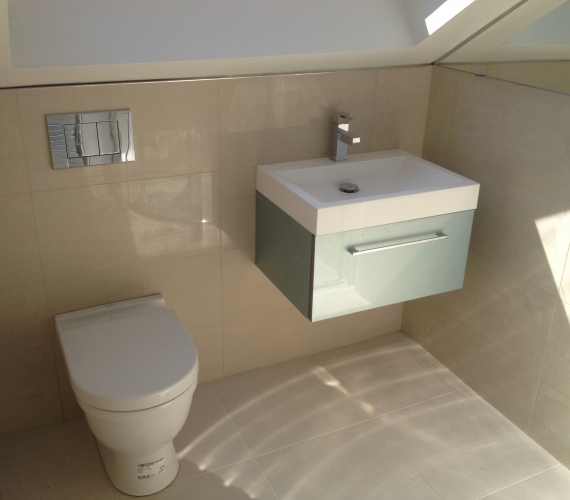 BTW W/C Geberit concealed cistern and flush plate - Wall hung basin and cabinet. 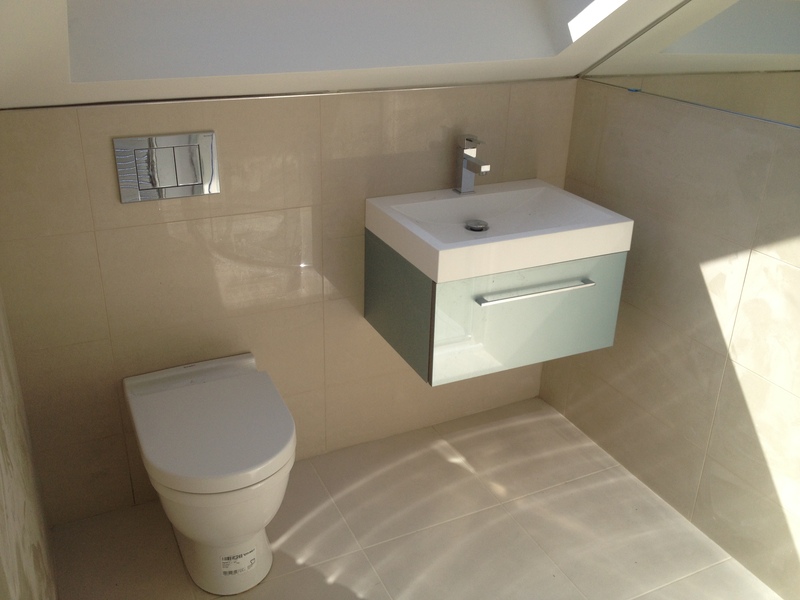 BTW W/C Geberit concealed cistern and flush plate - Wall hung basin and semi pedestal. 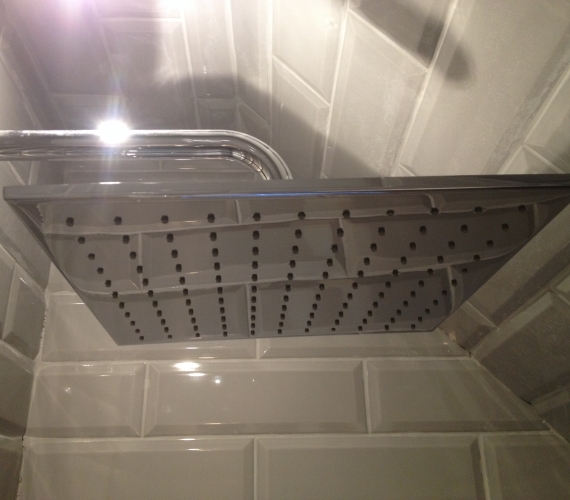 Fixed shower head - two LED deck lights. 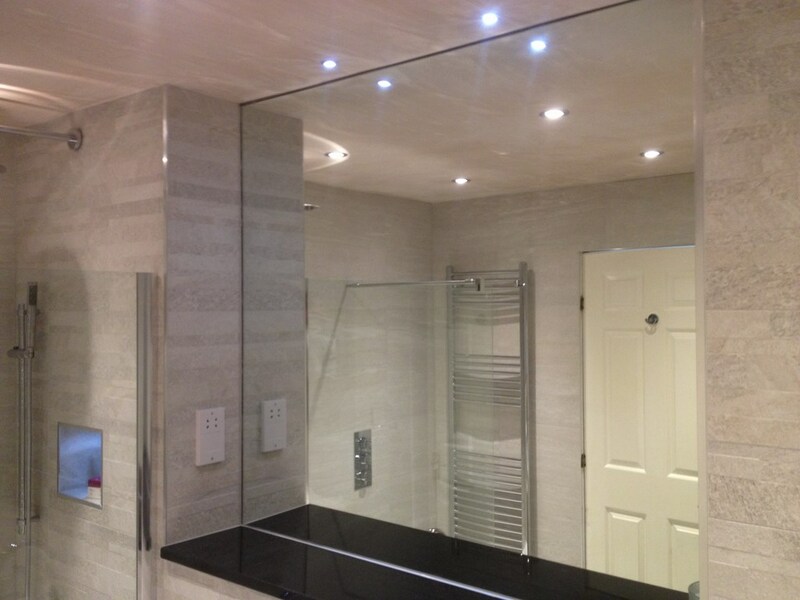 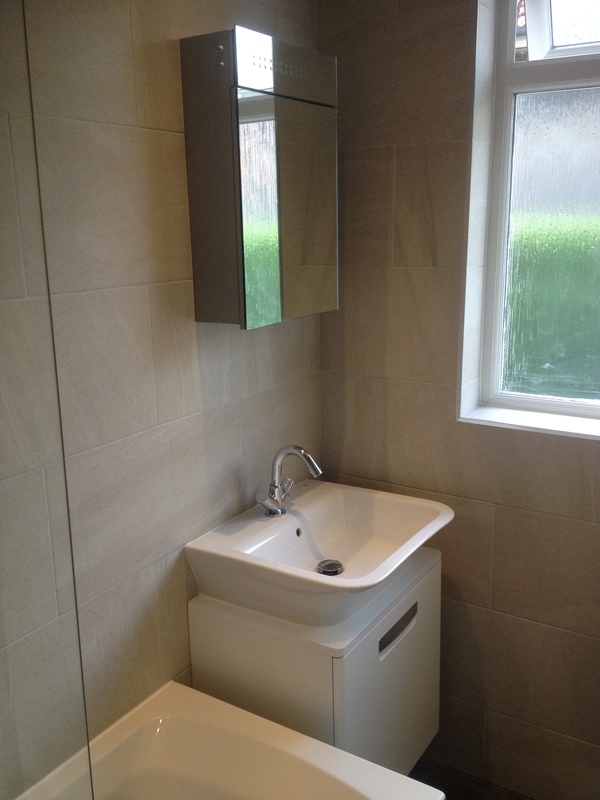 Roca wall hung basin and cabinet - mirror wall cabinet with LED light and sensor, integrated shaver socket and de-mist pad - Brick effect tiles. 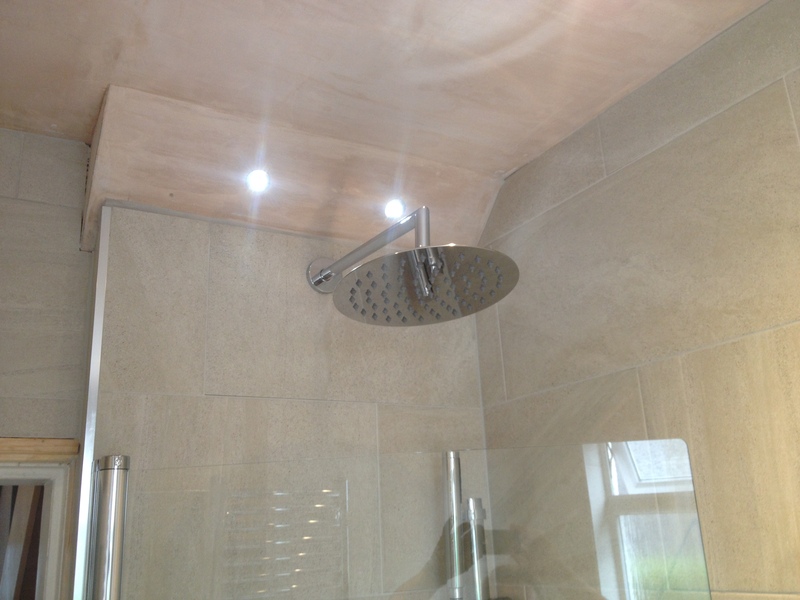 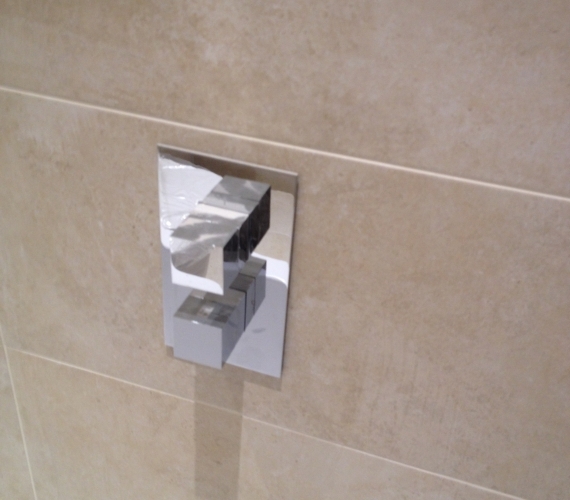 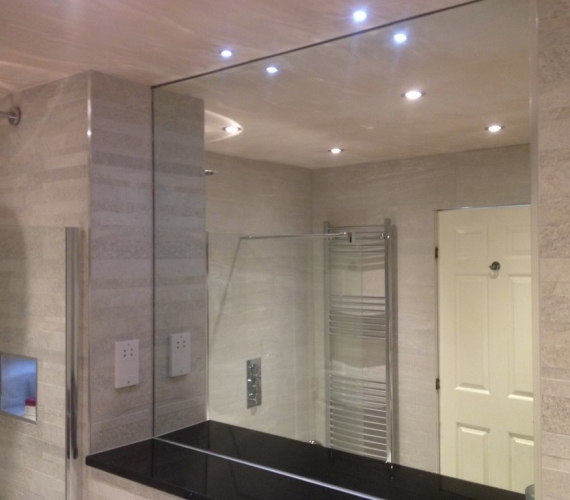 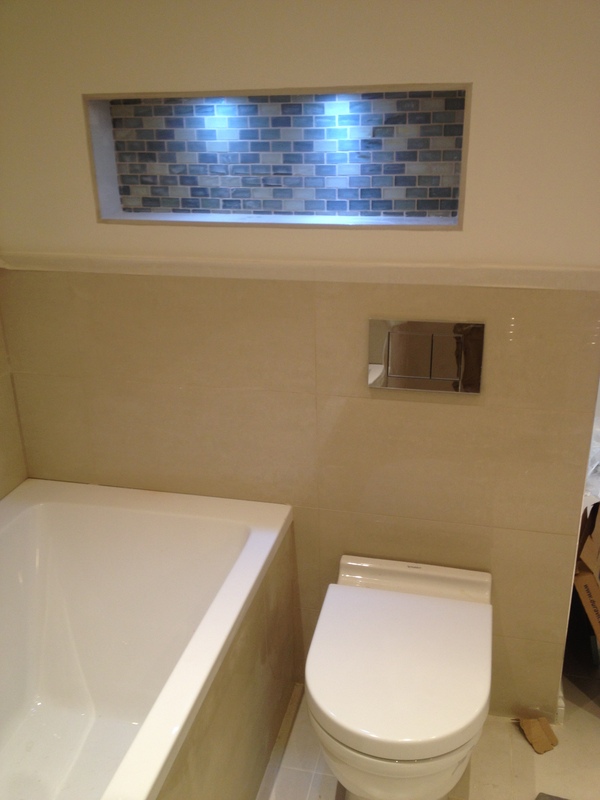 Concealed shower valve - riser rail - bath mixer taps - niche boxing with LED deck light. 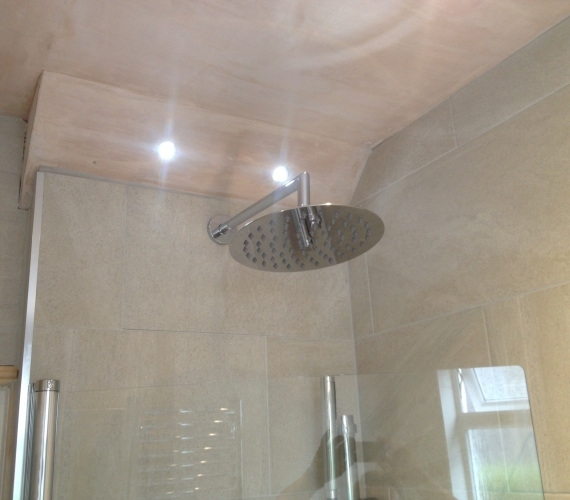 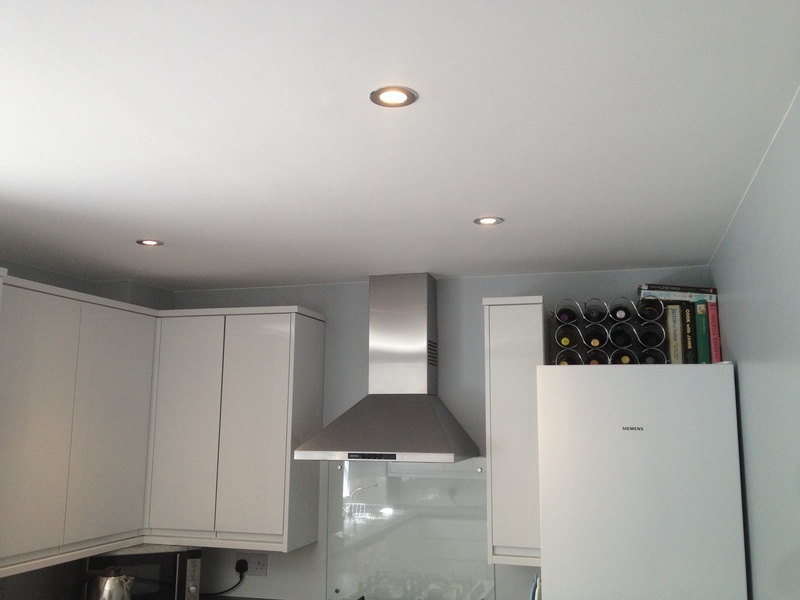 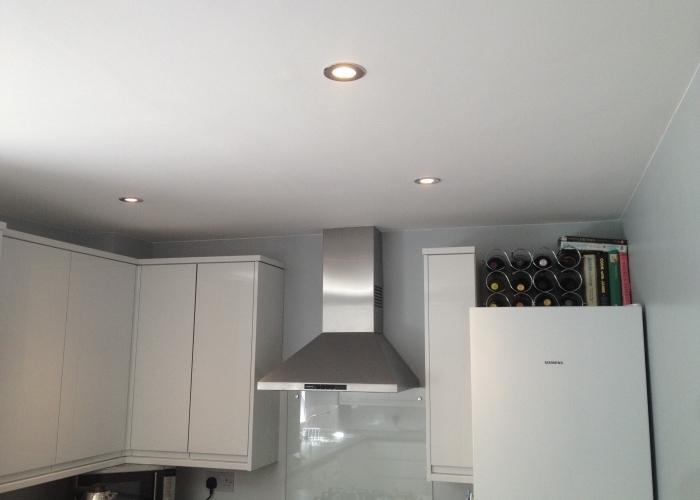 Concealed shower valve - riser rail - fixed shower head - niche boxing with LED deck light. 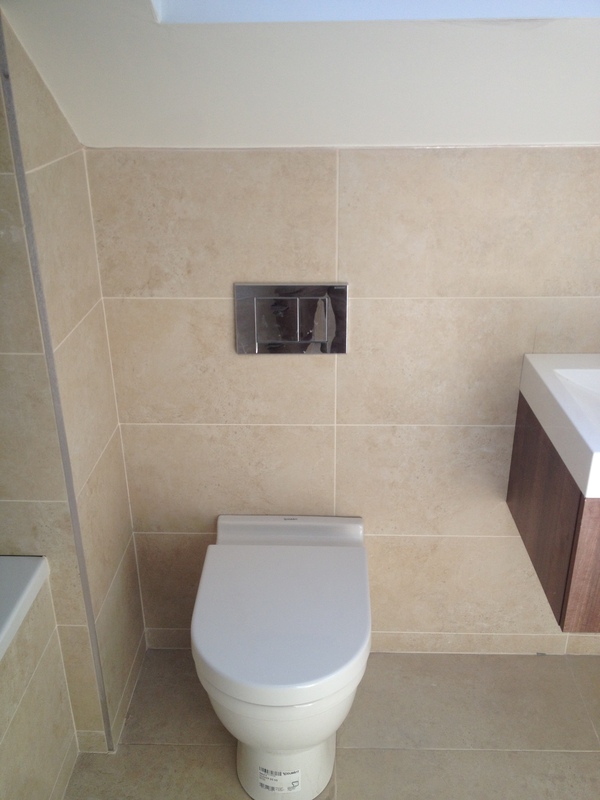 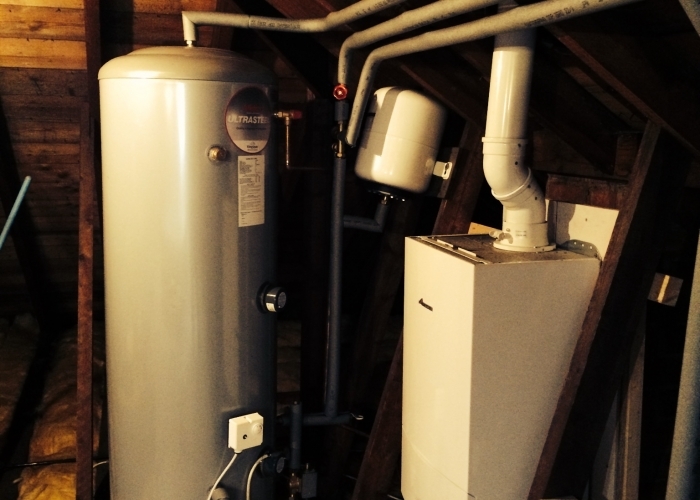 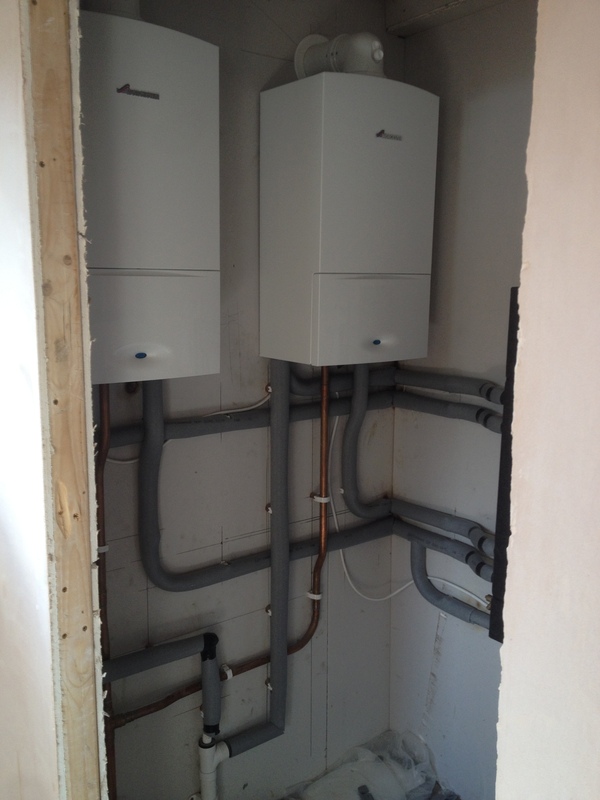 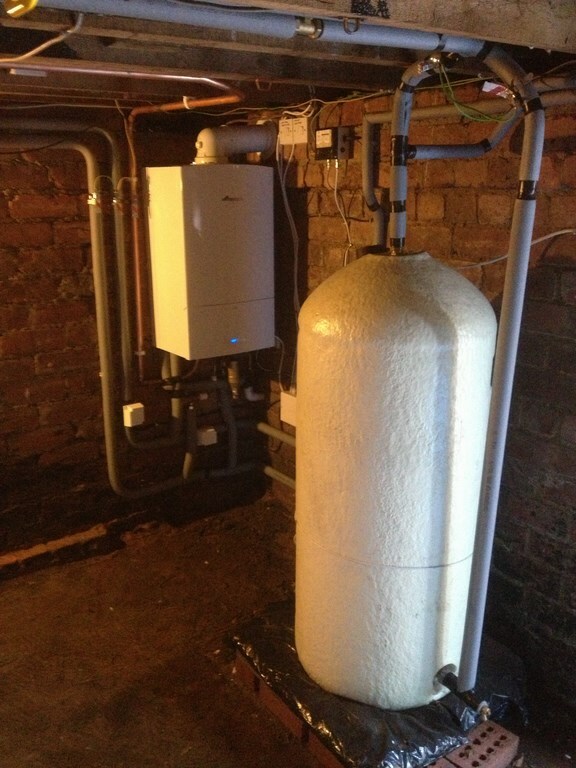 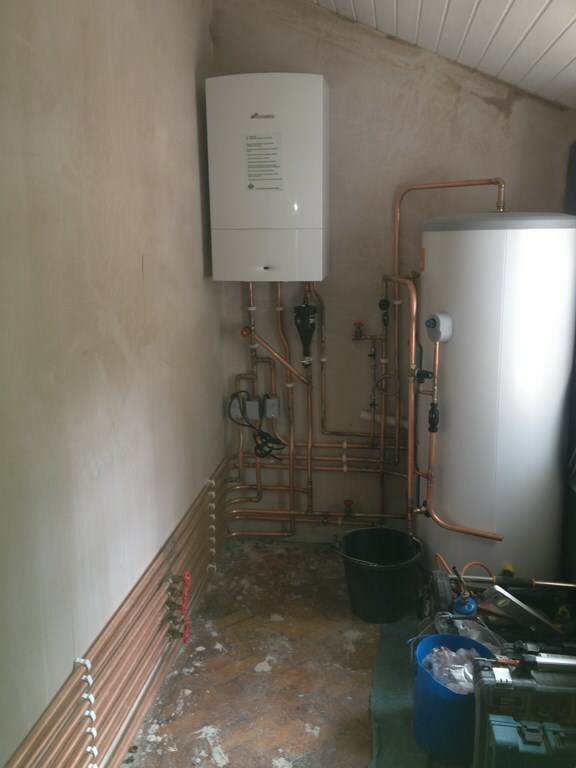 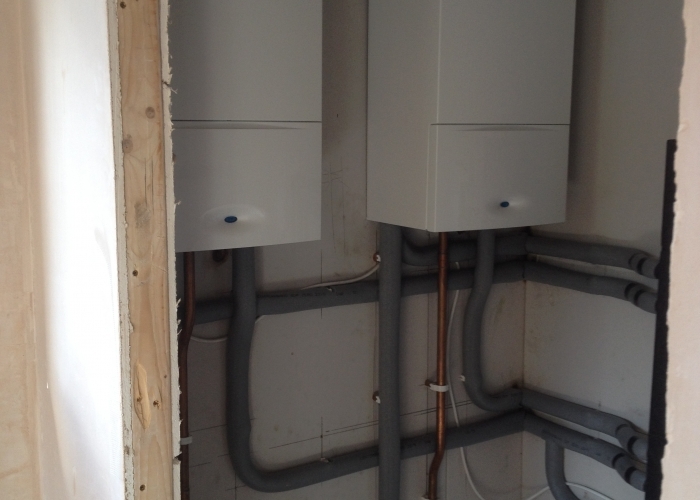 Roca close coupled W/C with dual flush cistern. 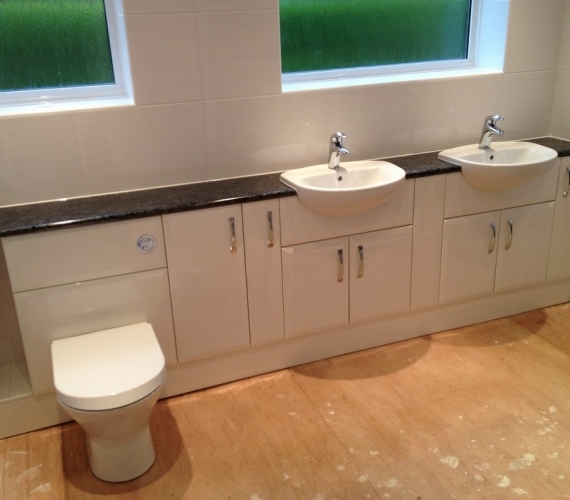 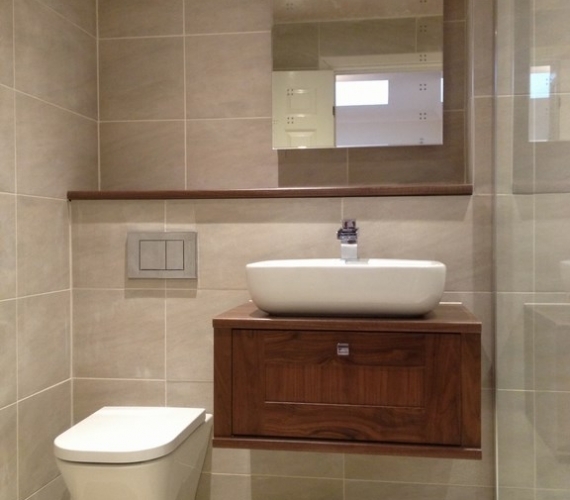 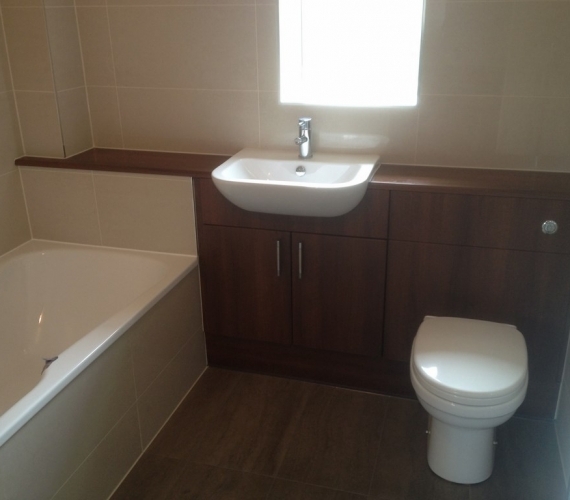 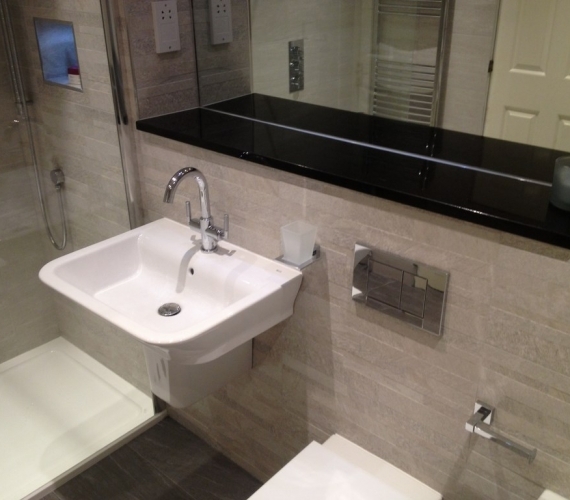 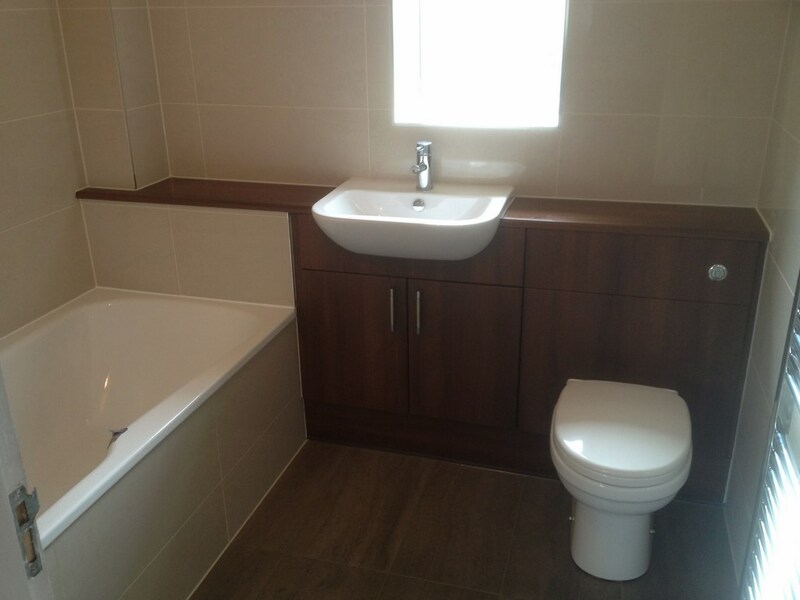 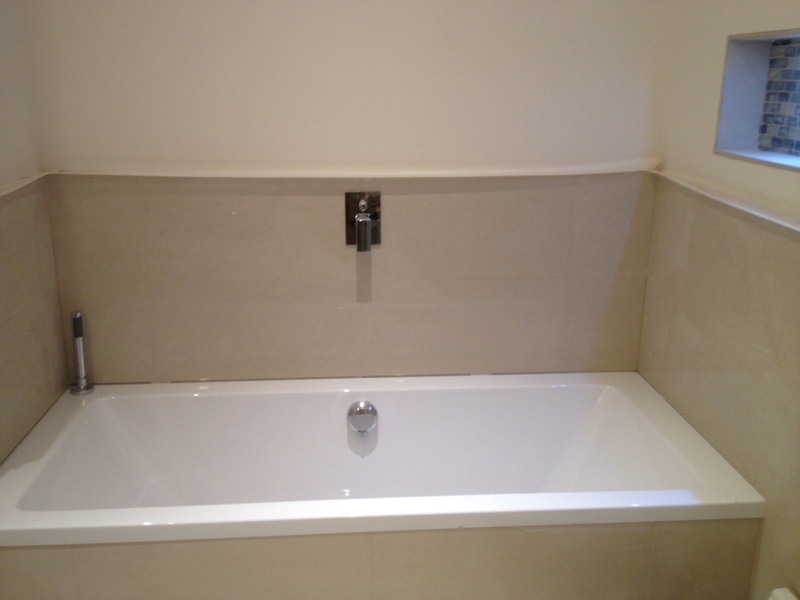 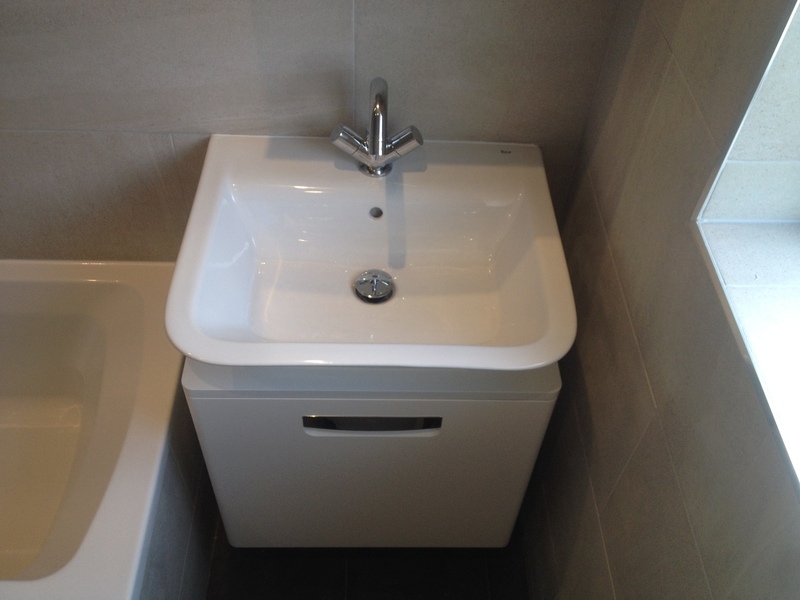 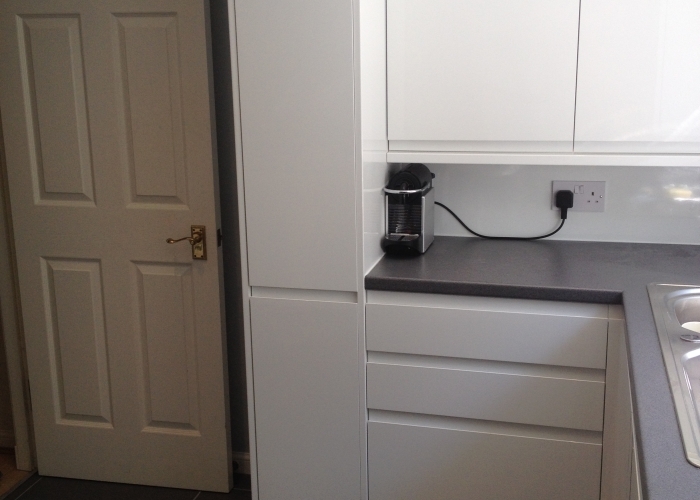 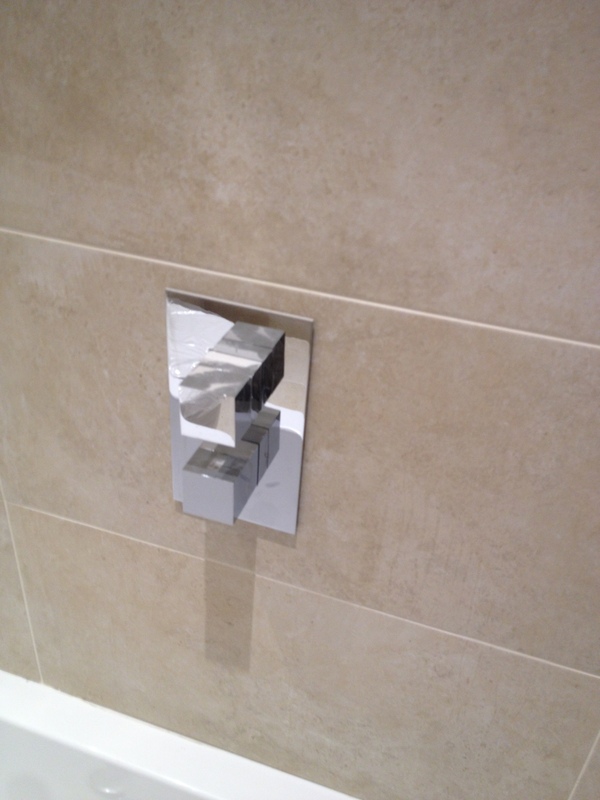 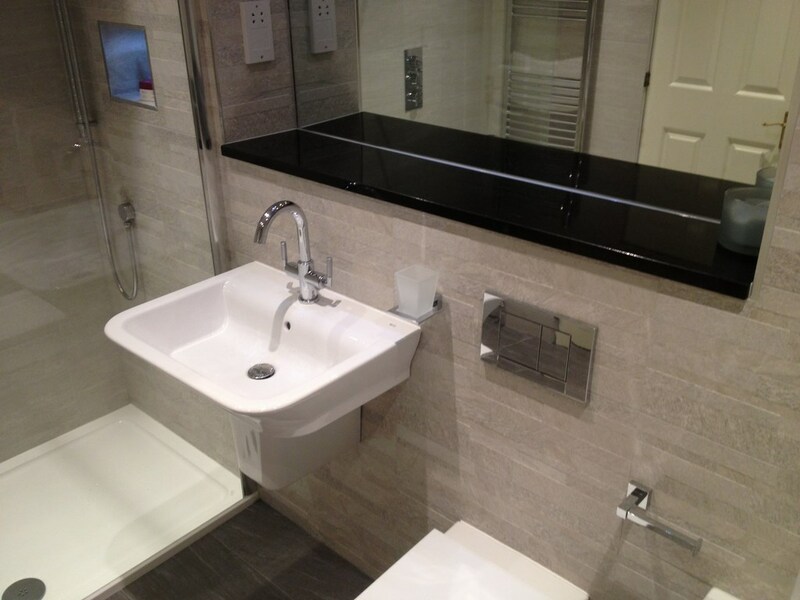 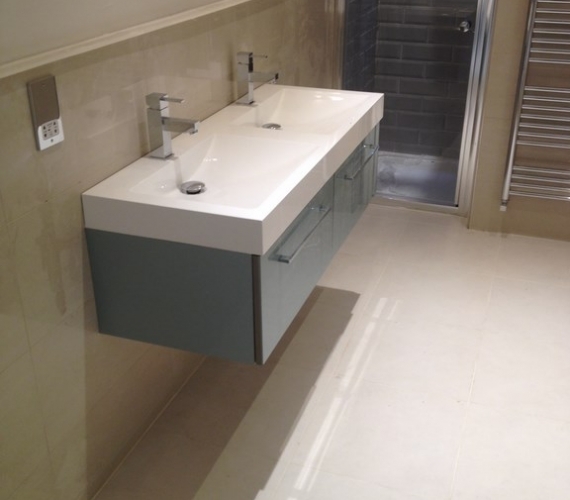 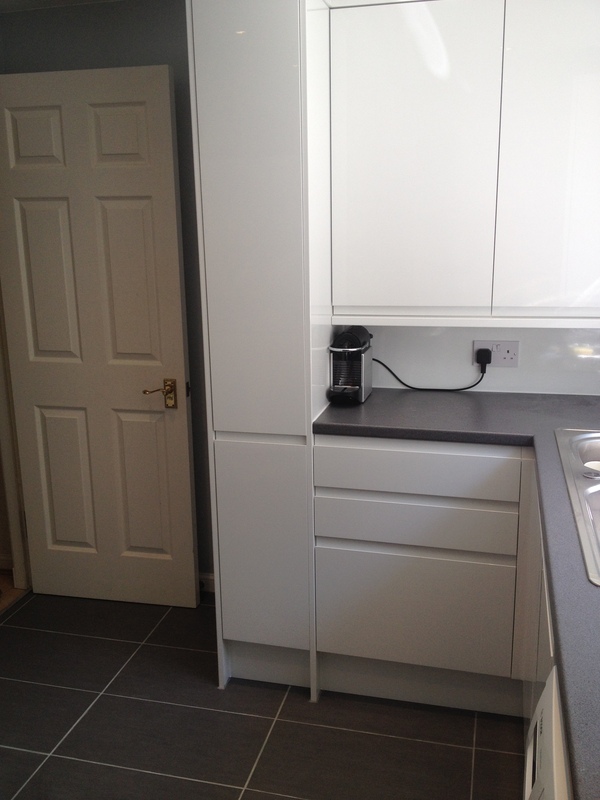 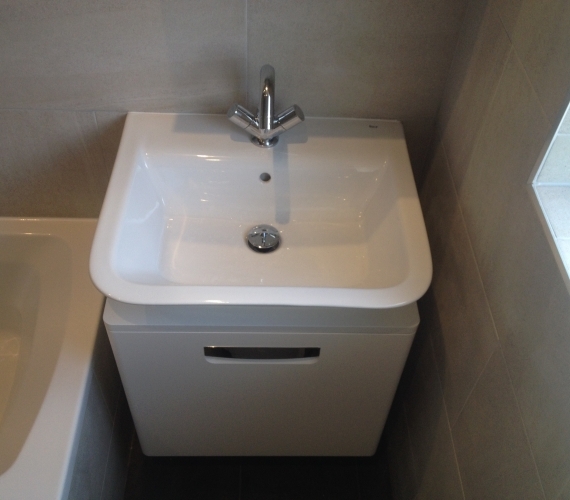 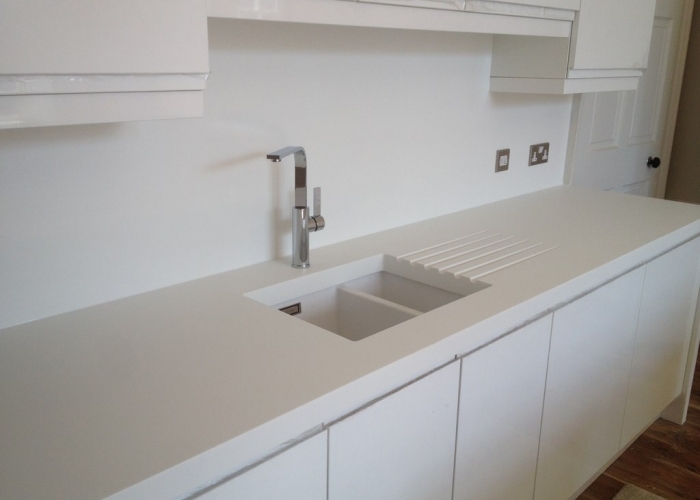 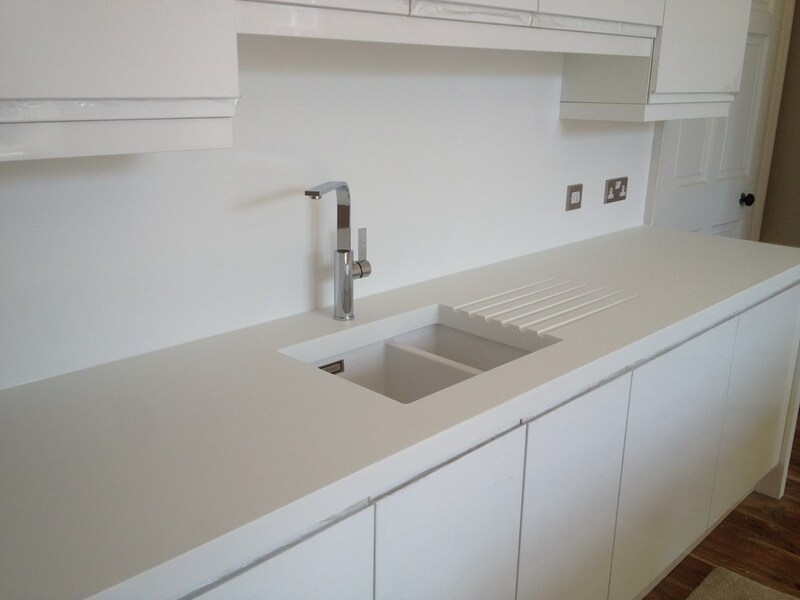 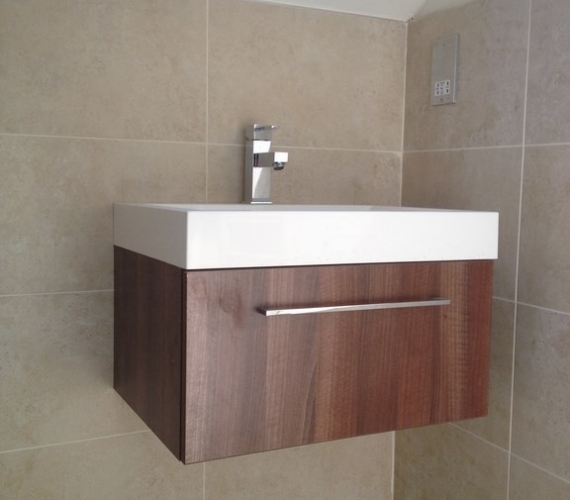 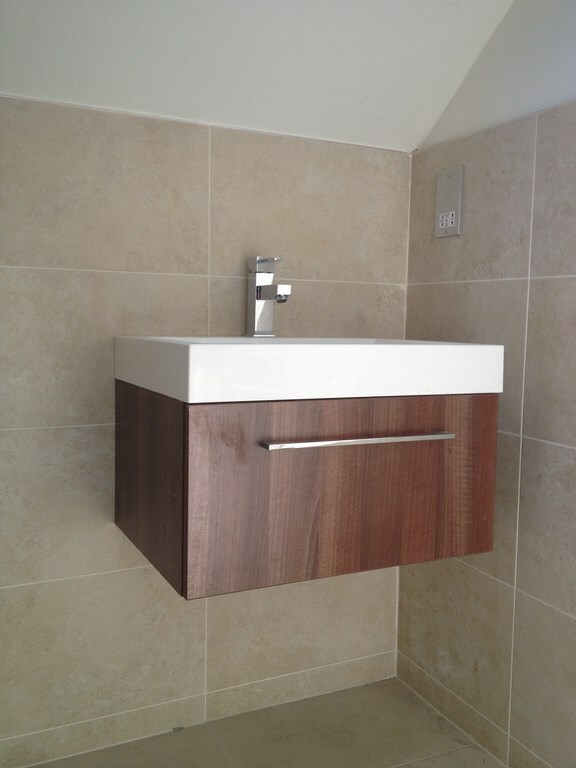 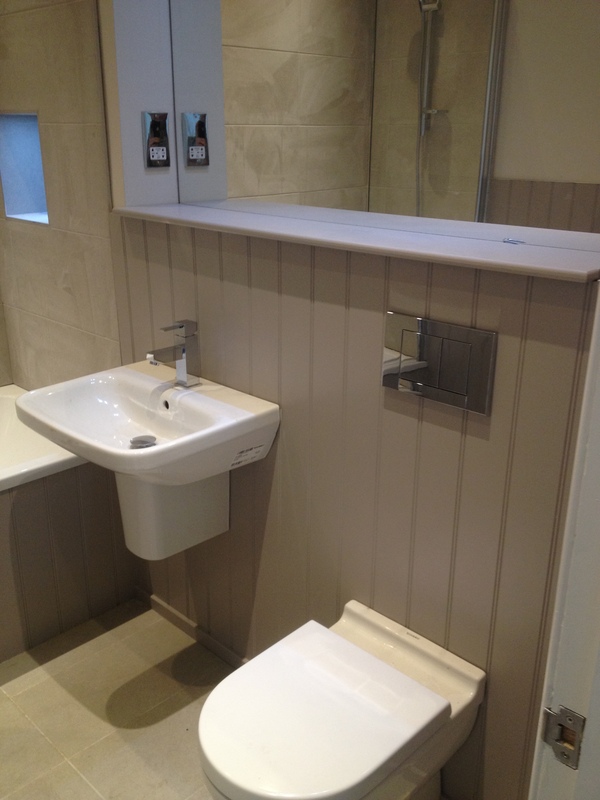 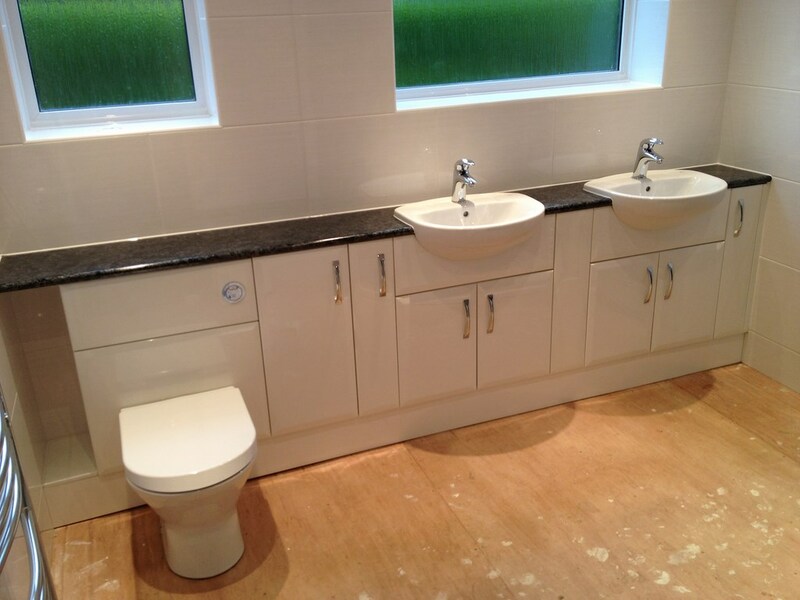 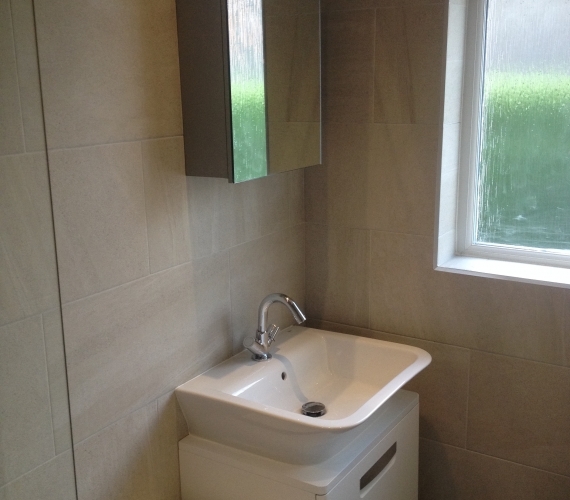 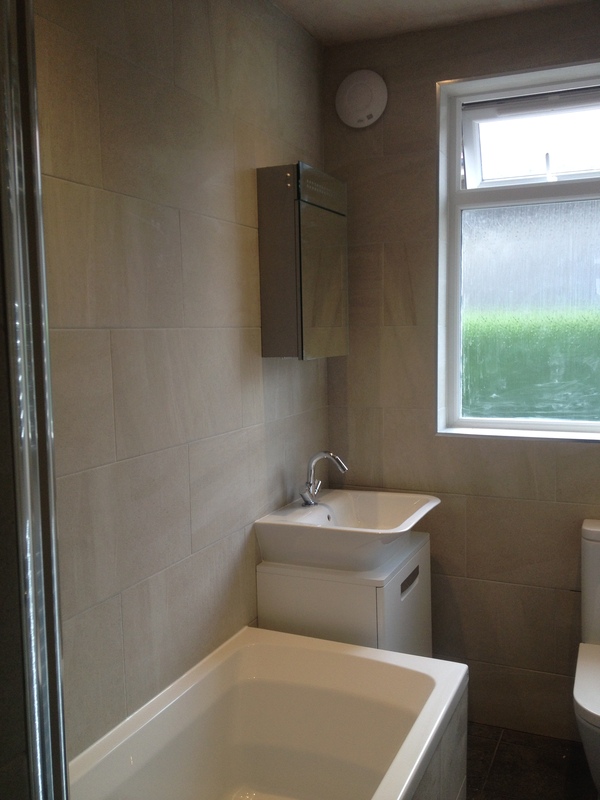 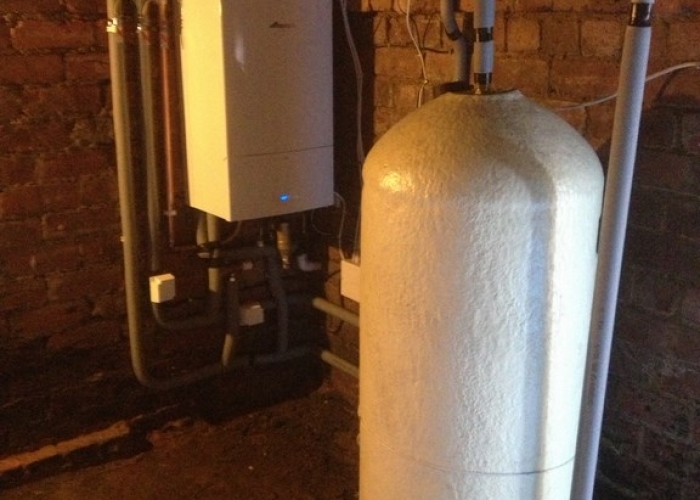 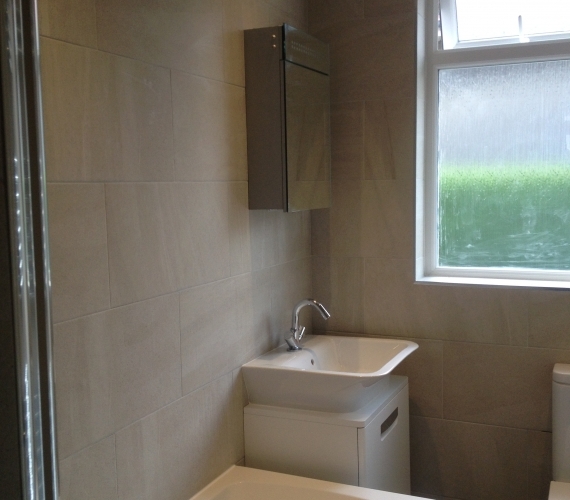 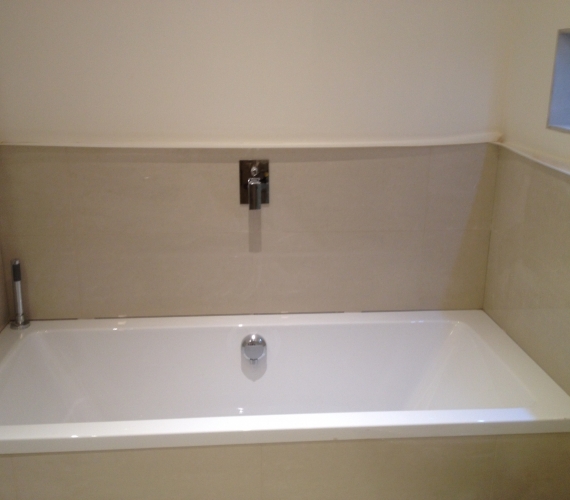 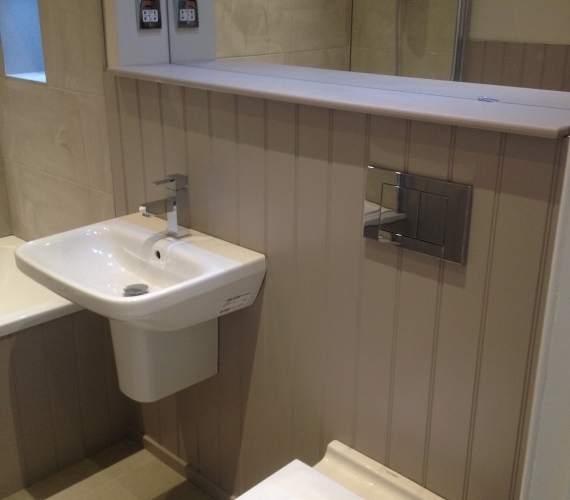 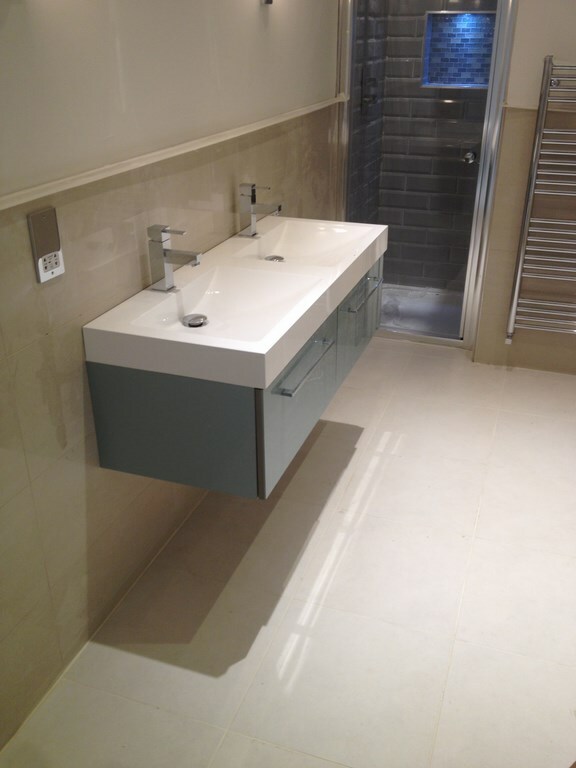 Roca wall hung basin and cabinet - basin mixer tap - clicker waste. 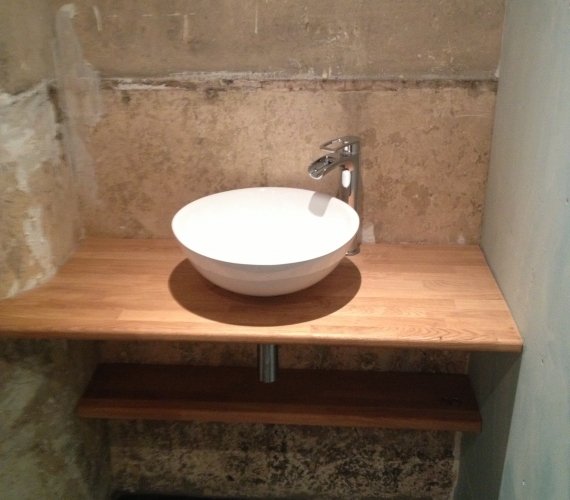 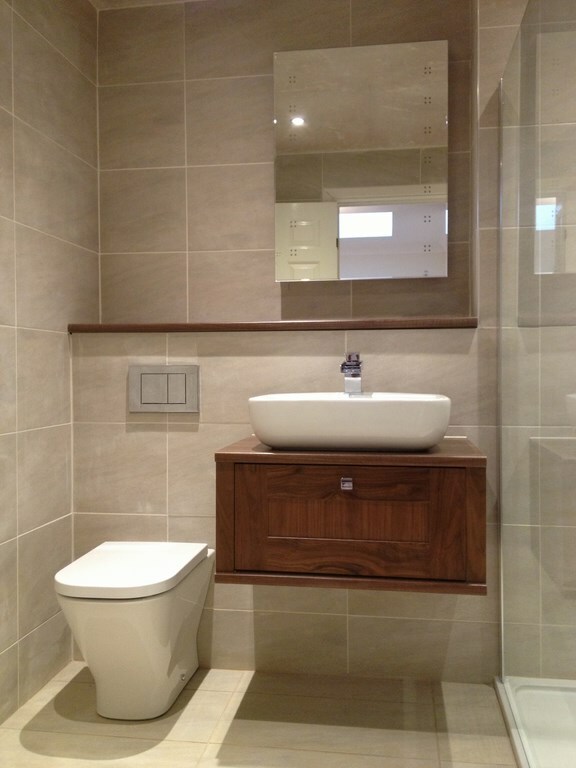 Roca wall hung basin and cabinet.